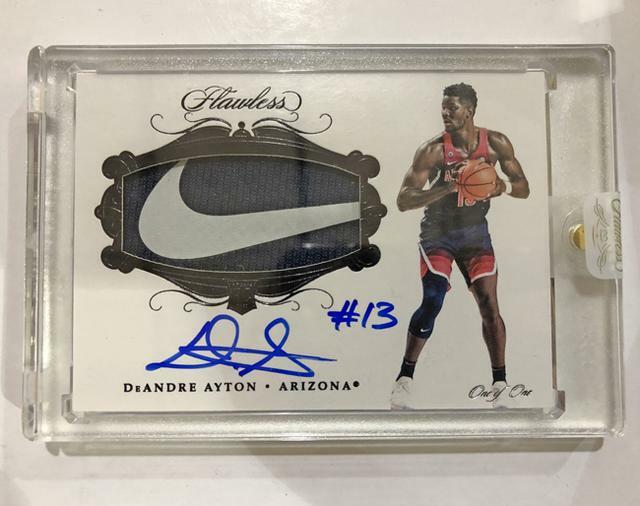 Dernière modification par Eyeshield21 le 31 janv. 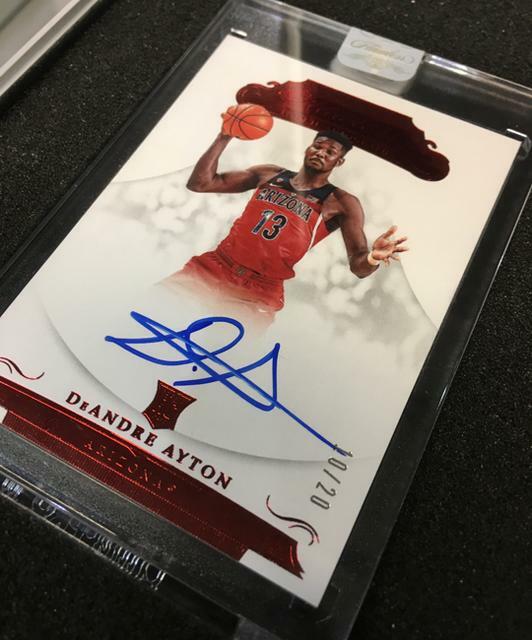 2019, 12:20, modifié 13 fois. 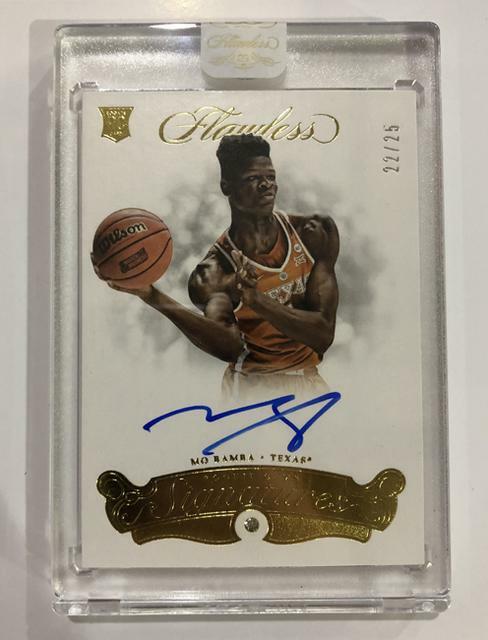 Dernière modification par Eyeshield21 le 16 nov. 2018, 11:59, modifié 1 fois. 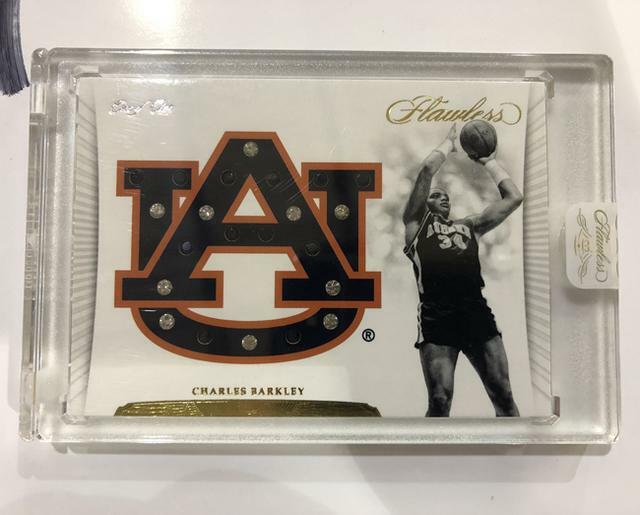 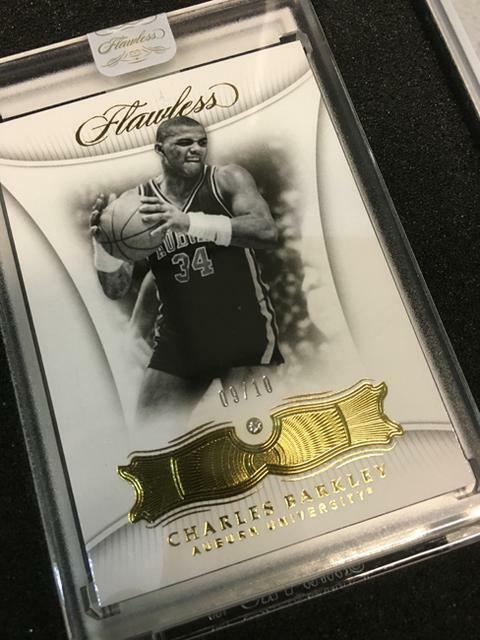 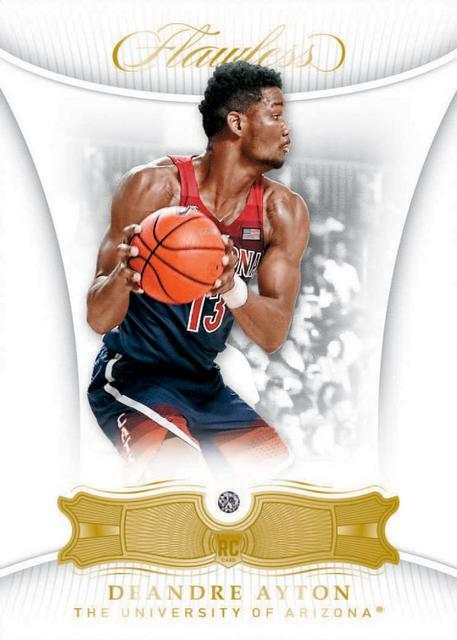 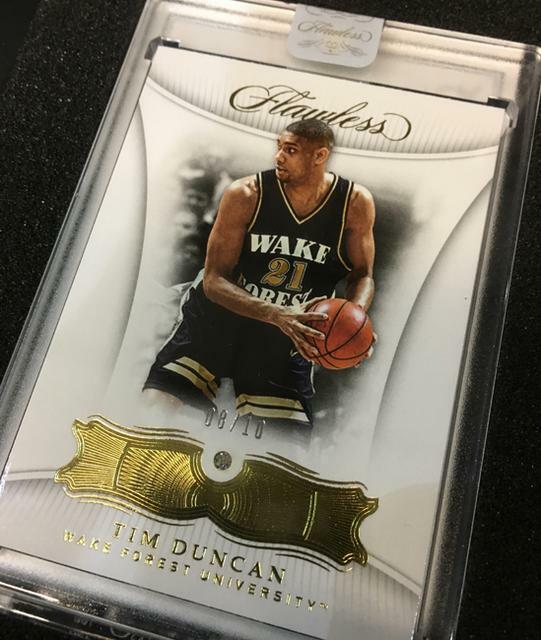 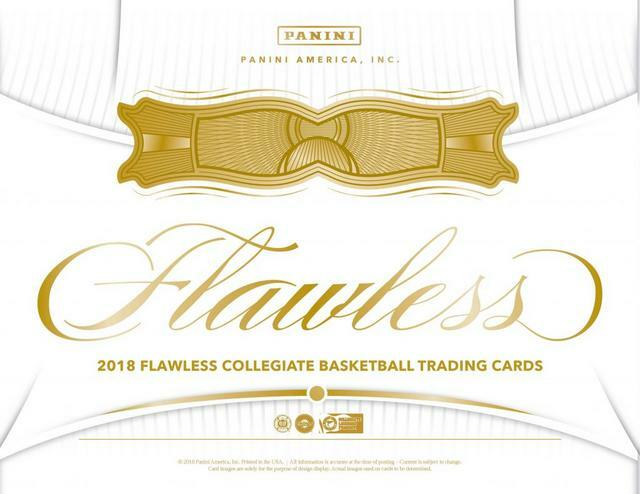 of Panini America’s 2018-19 Panini Flawless Collegiate . 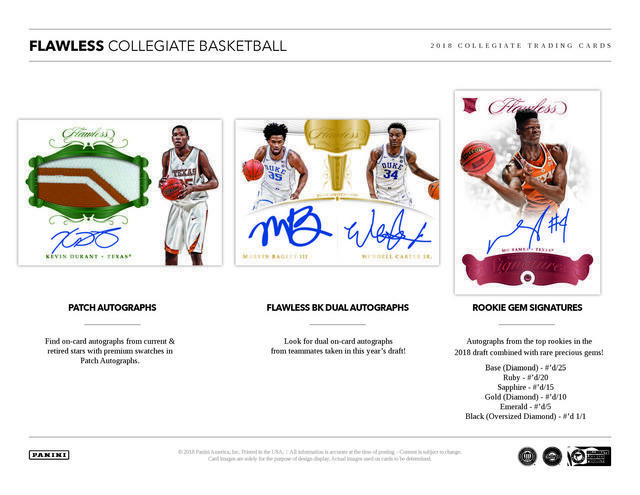 the Flawless brand delivered its first standalone Collegiate edition. 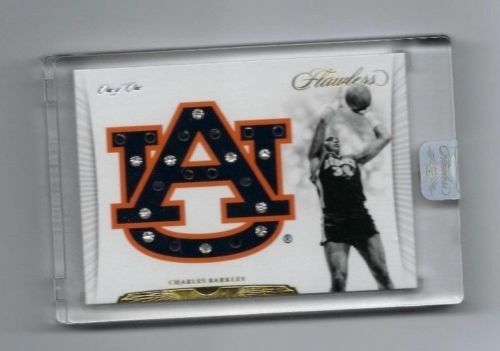 running the court way back in his Auburn days. 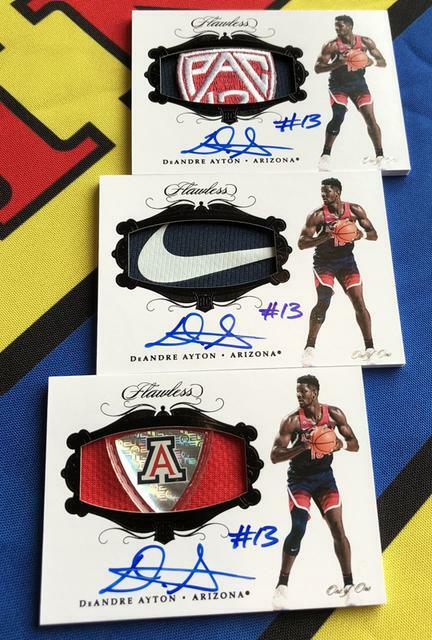 checklist stacked with All-Americans and all-time legends. 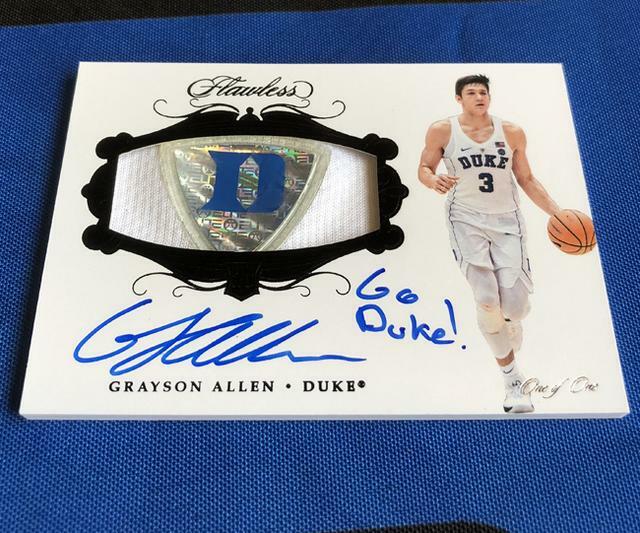 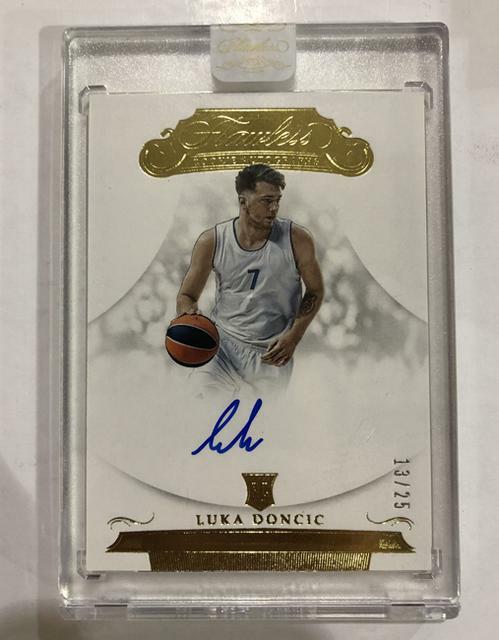 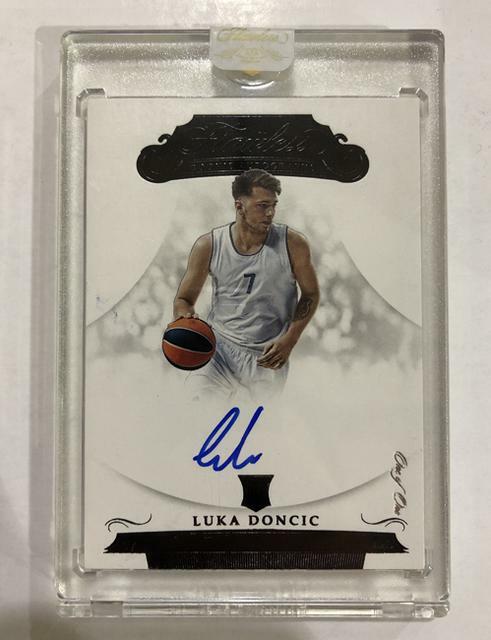 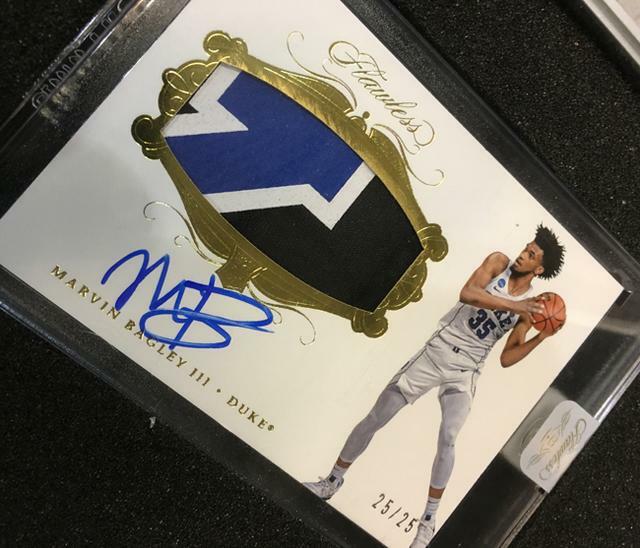 from all of the top 2018 NBA rookies in the Rookie Patch Autographs chase. 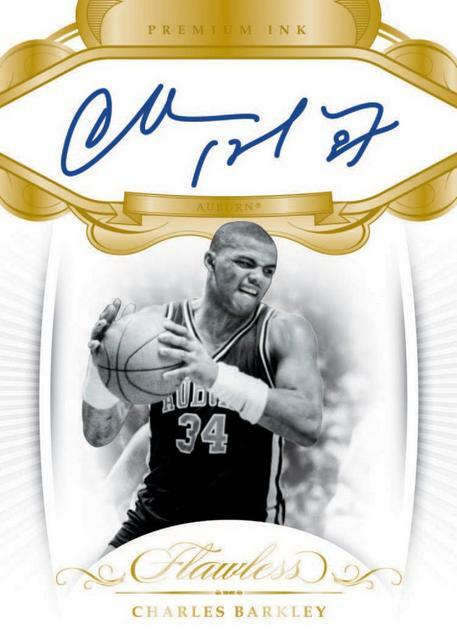 or a cut signature numbered to 25 or less. 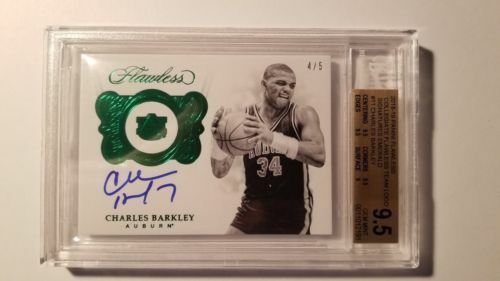 six autographs, two memorabilia cards and two gemstone cards. 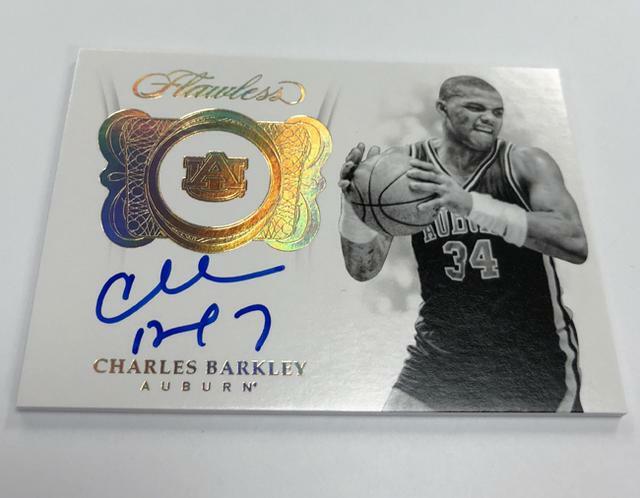 Additional product highlights include . 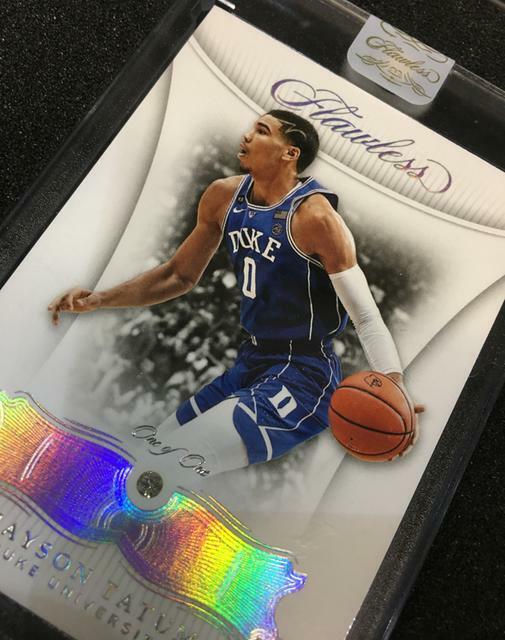 . .
is a sophomore in the high-end collecting world. 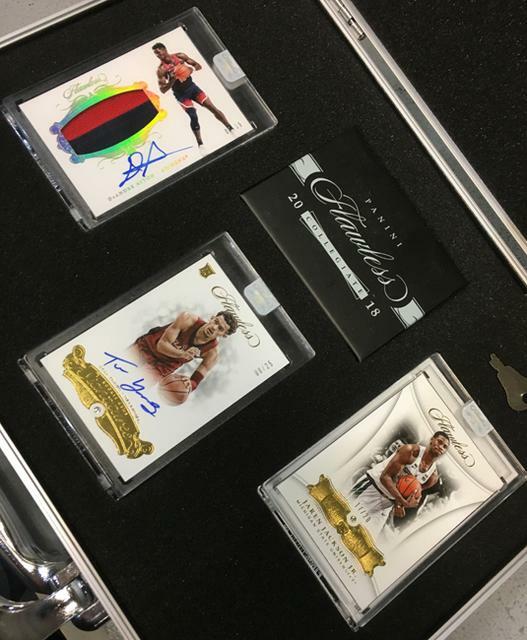 two memorabilia cards and two gem cards. 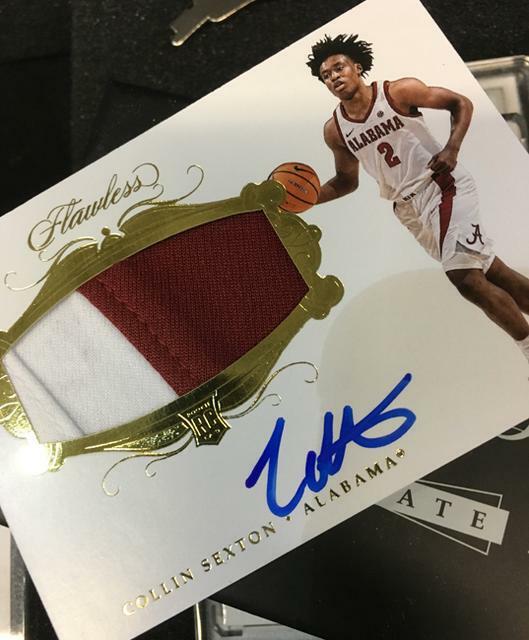 numbered to 25 or less. 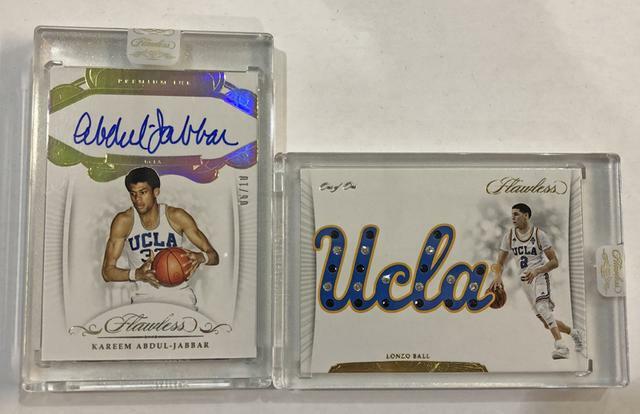 in their school colors as well as legends from the past. 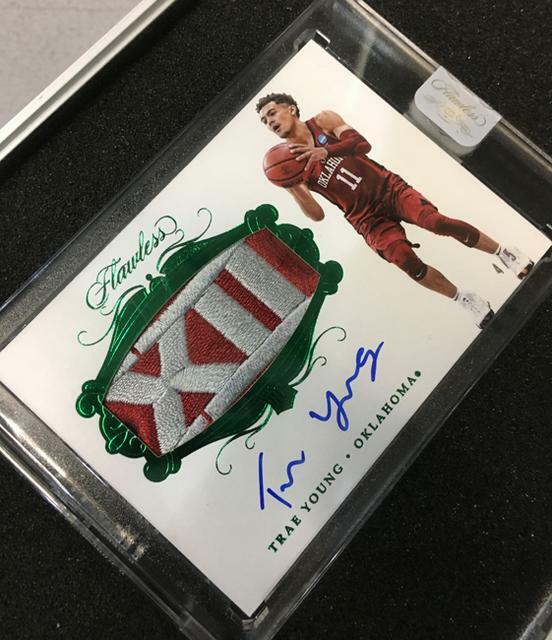 Emerald (/5) and 1/1 oversized diamonds. 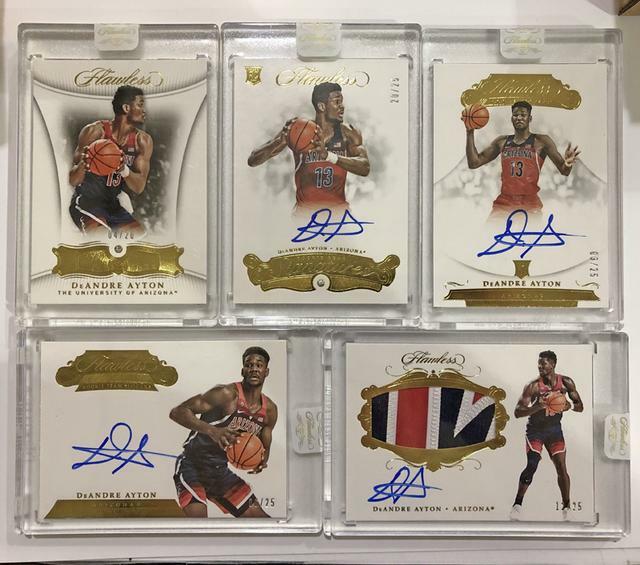 Rookie Gem Signatures, Premium Ink and Rookie Autographs. 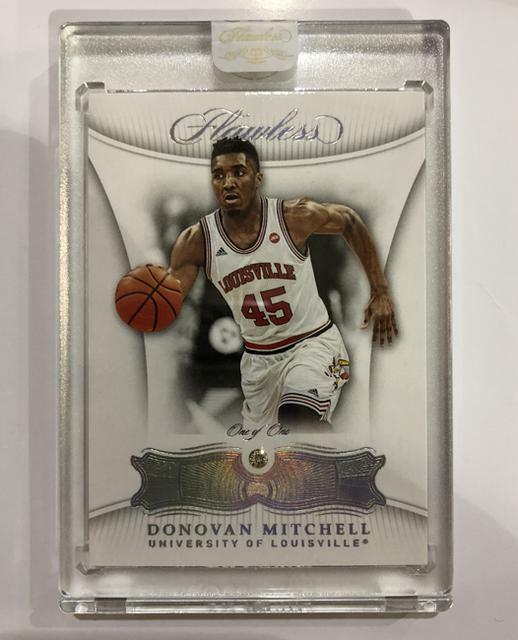 and legends from the past in their College uniforms. 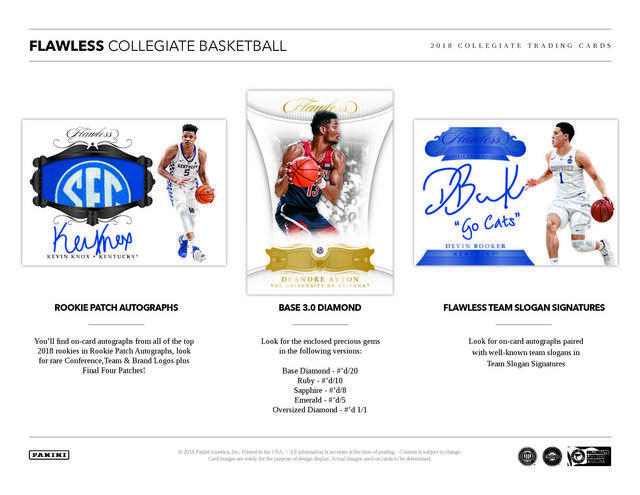 and two Diamond, Sapphire, Ruby, or Emerald Base/Parallel gem cards. 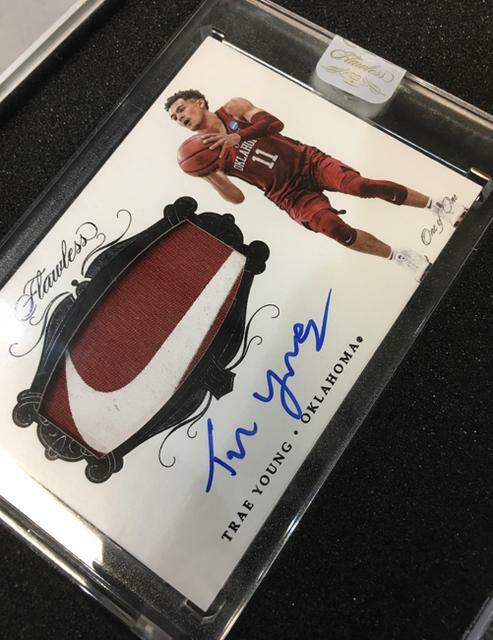 making them highly in demand for collectors. 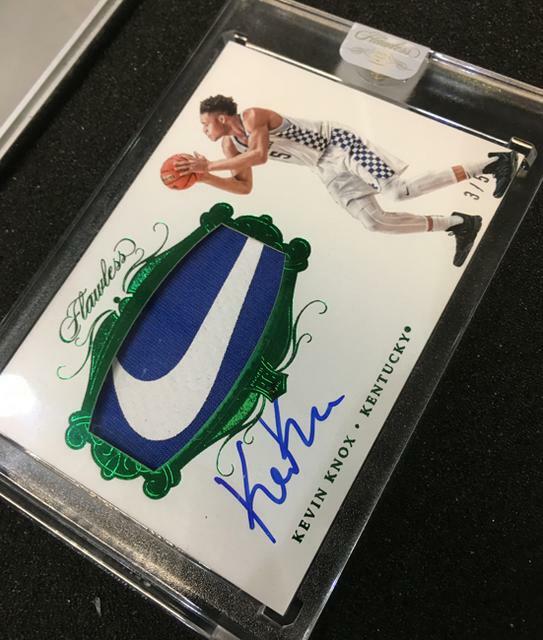 Emerald (#’d/5) and Oversized Diamond (1/1) parallels. 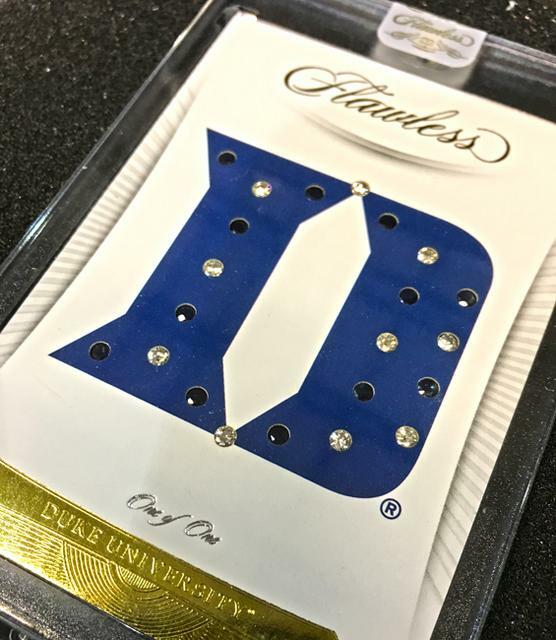 university logos with color-coordinated jewels paired with iconic alumni. 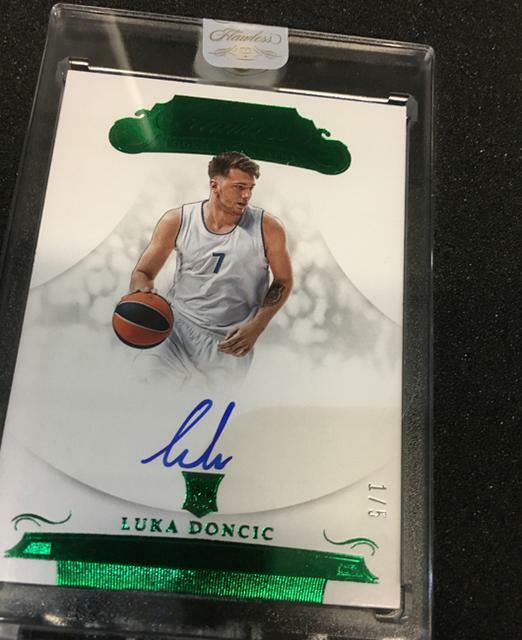 in the 2018 draft combined with rare jewels. 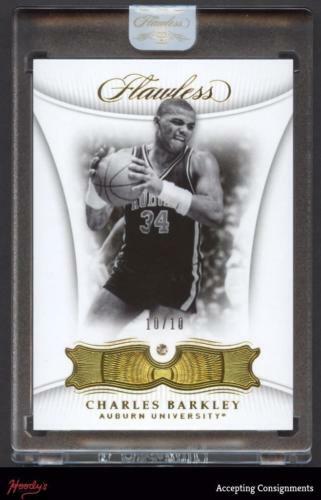 Gold (Diamond) #’d/10, Emerald #’d/5, Black (Oversized Diamond) #’d 1/1. 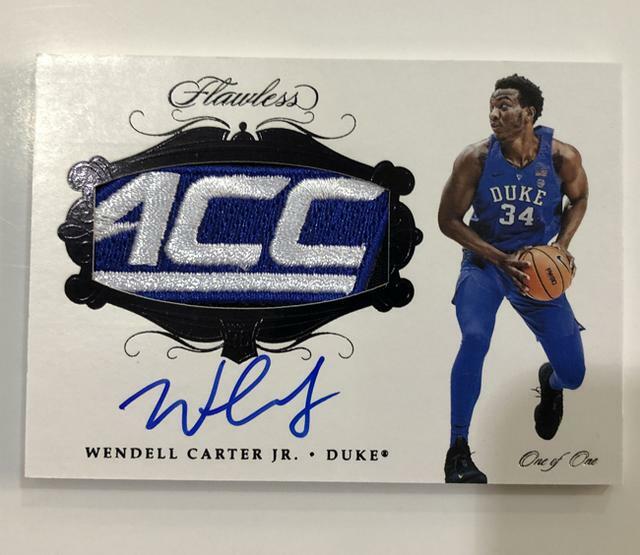 and includes outstanding patches from the NCAA uniforms. 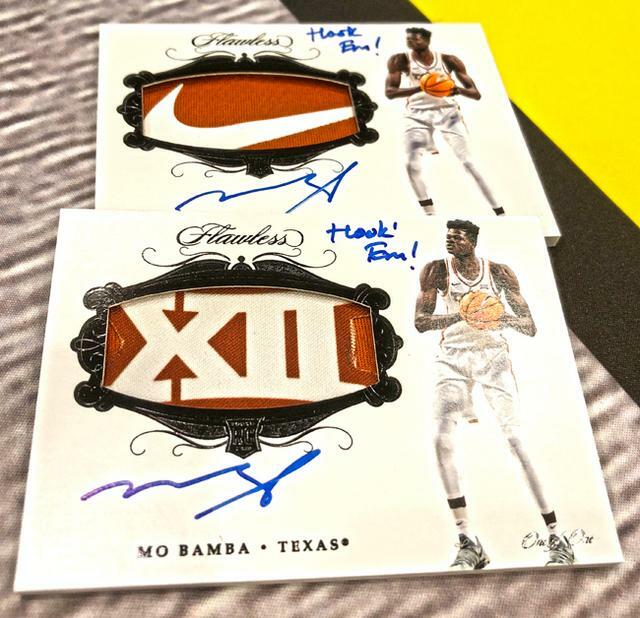 Team & Brand Logos, and Final Four Patchs. 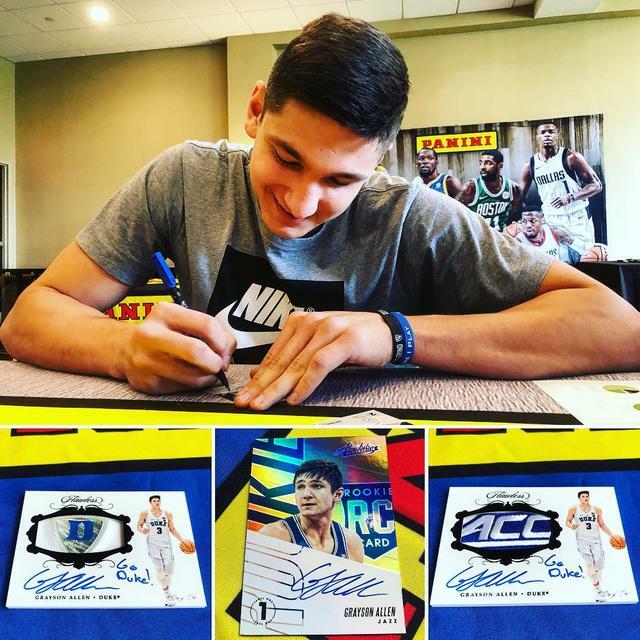 basketball’s star players with on-card autographs. 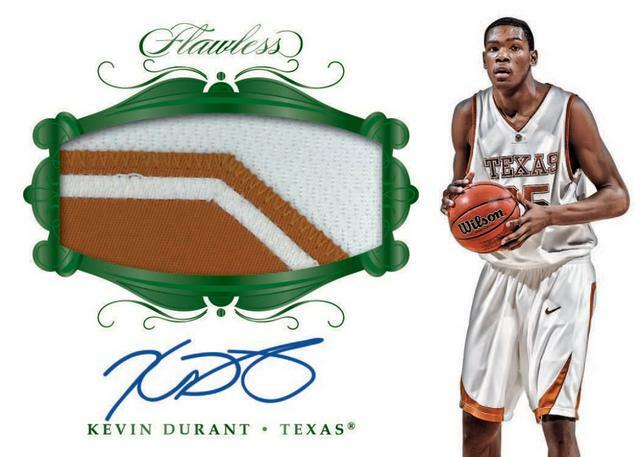 and present stars with premium swatches. 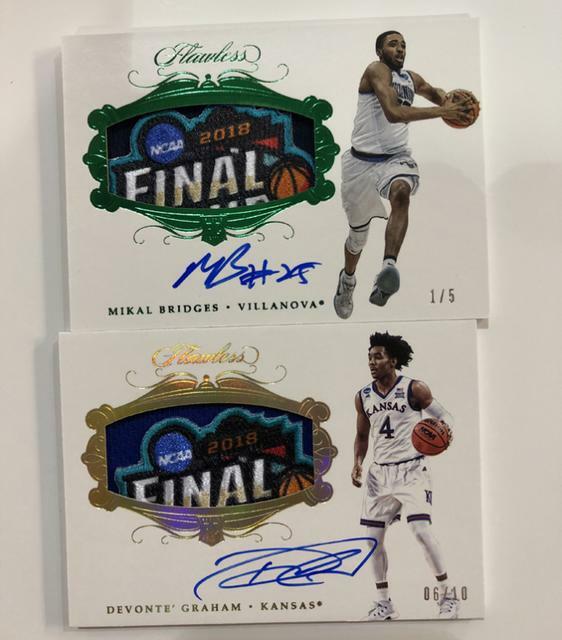 brand and Final Four patches. 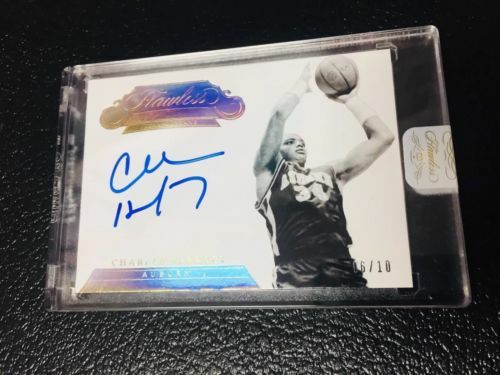 Emerald (/5) and 1/1 Black diamond (over-sized). 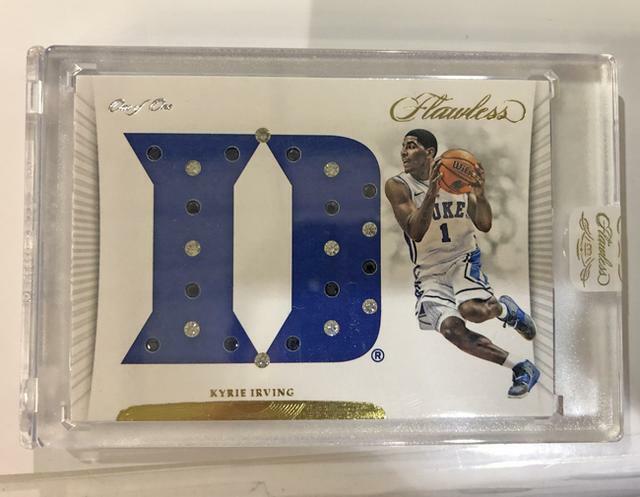 which is reduced $250 from last season. 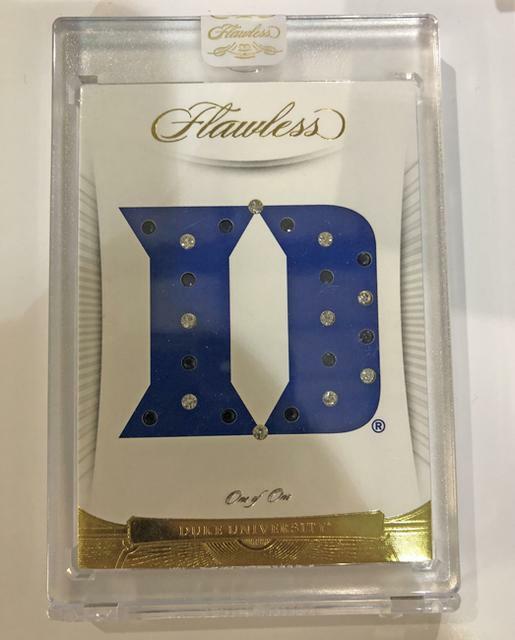 Sapphire (#/8), Emerald (#/5) and Oversized Diamond (1/1) parallels. 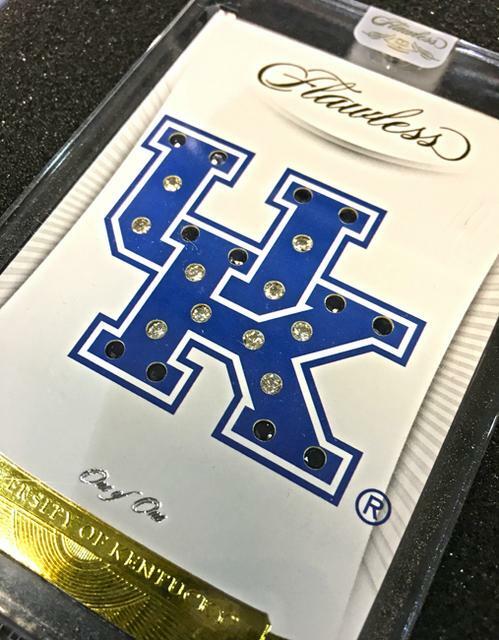 uses gemstones to accent the university logo. 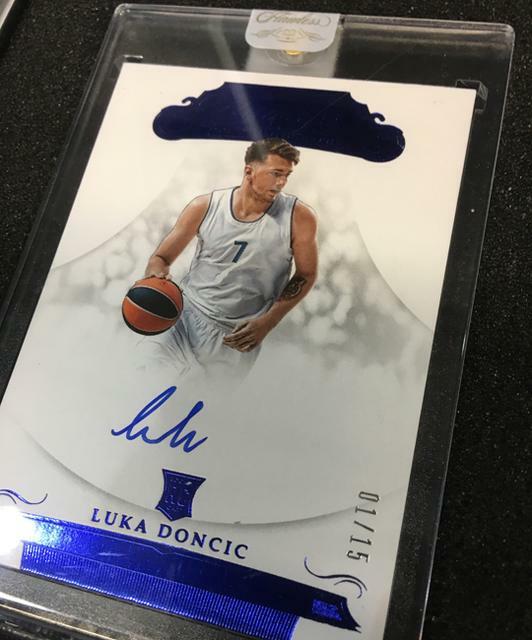 and Black Oversized Diamond (1/1) versions. 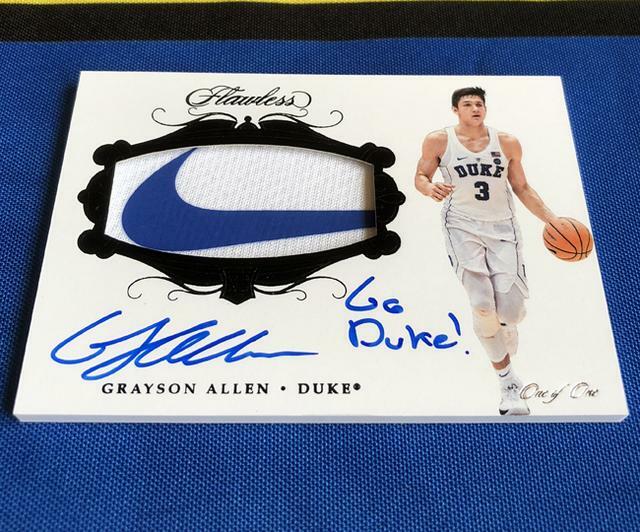 checklist is fusing hard-signed autographs and/or premium memorabilia. 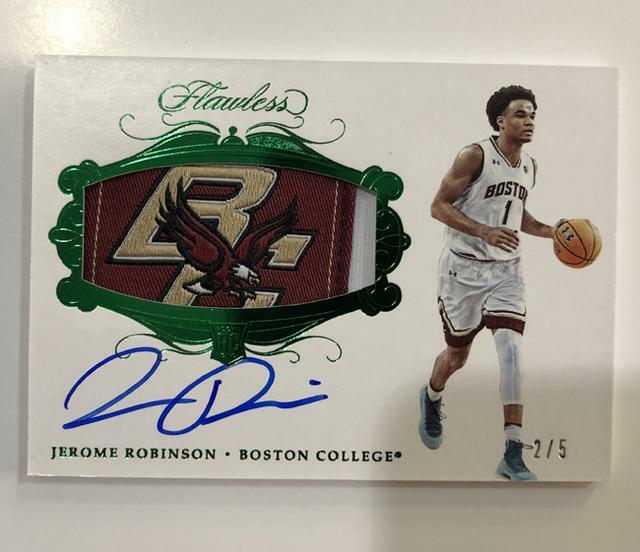 Incoming rookies are highlighted in Rookie Patch Autographs. 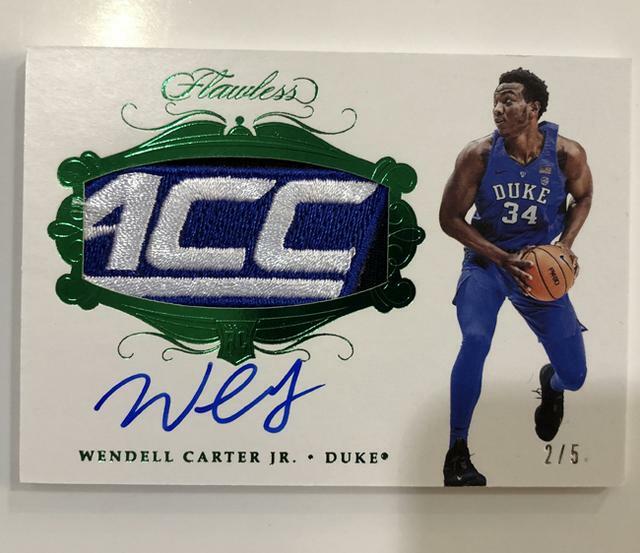 and team logos, and even Final Four patches. 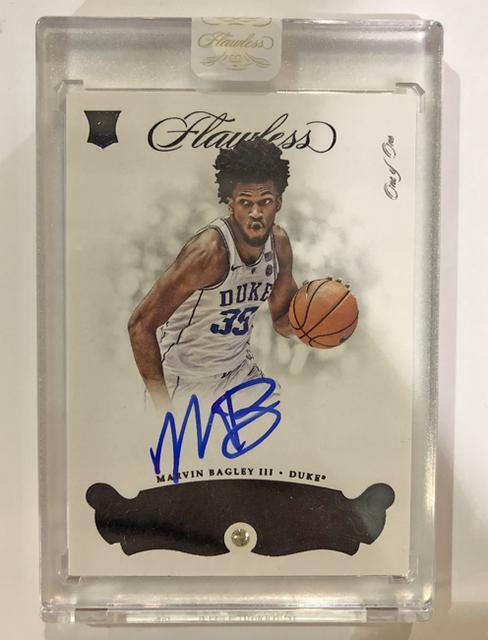 in the 2018 NBA Draft. 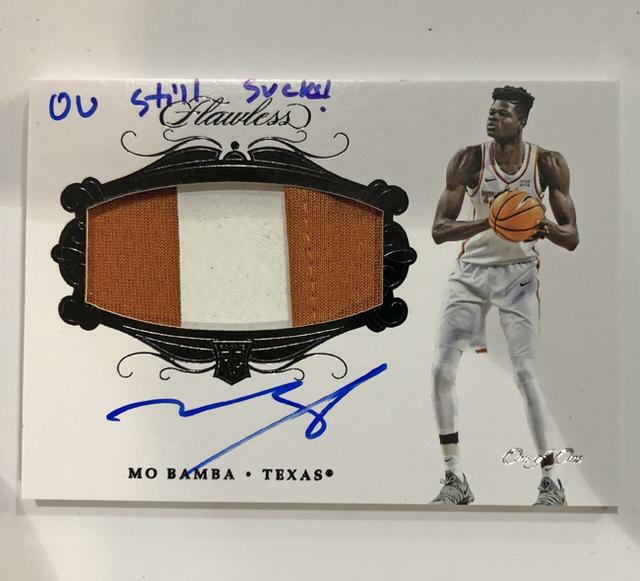 when it comes to high-end cards. 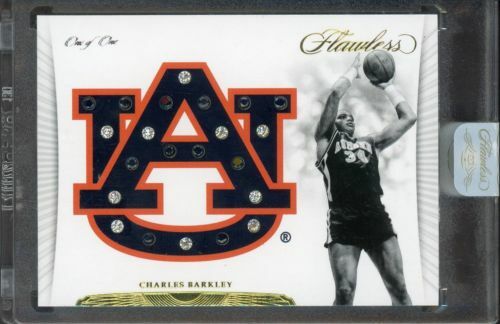 then it has at least one gem embedded in it. 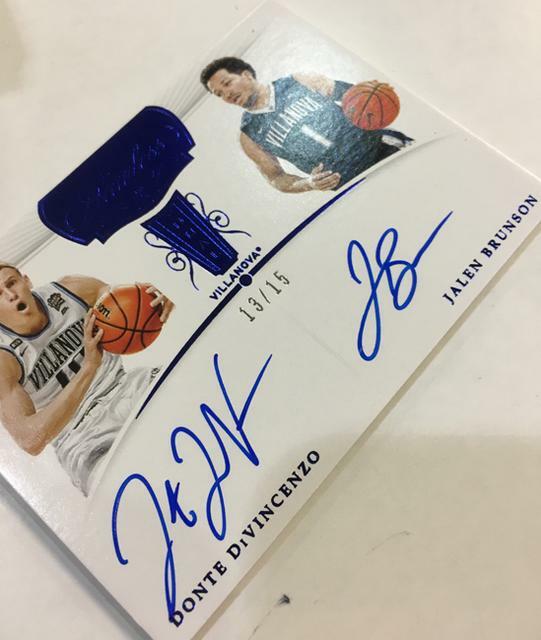 and low print runs are among the other cornerstones of the product. 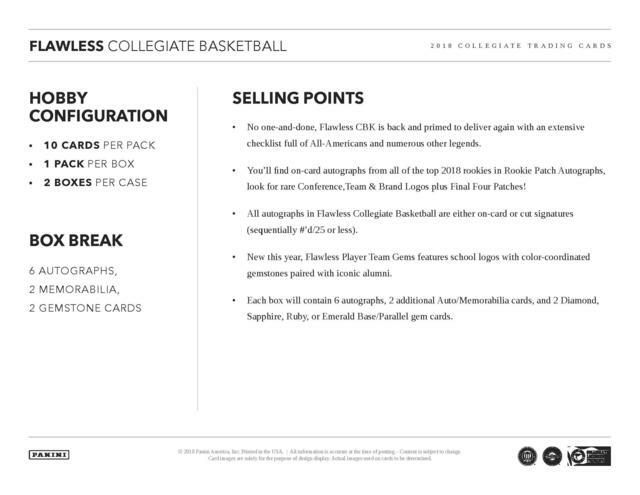 Hobby boxes for the super-premium product have ten cards. 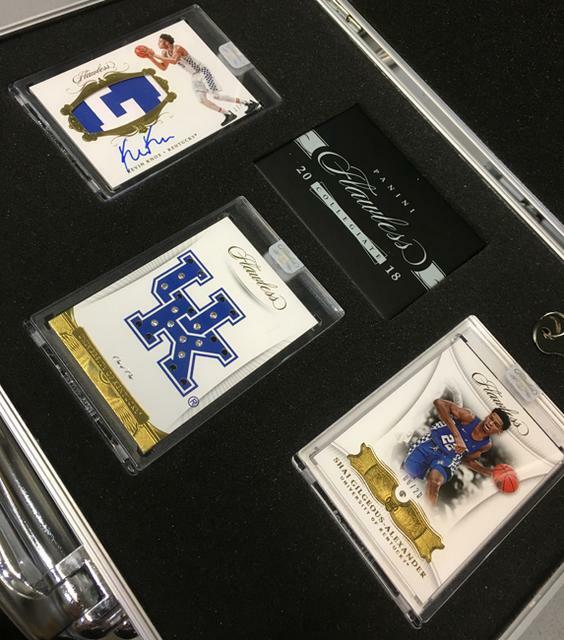 Ten are autographs, two are relics and the final two are gem cards. 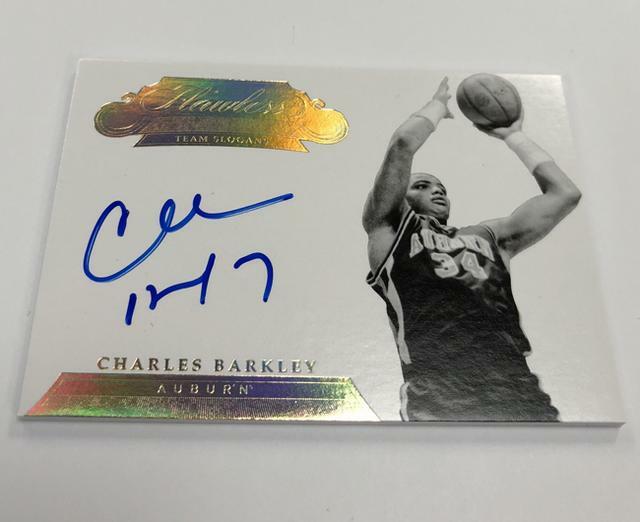 First off, the main set is numbered to just 20 copies. 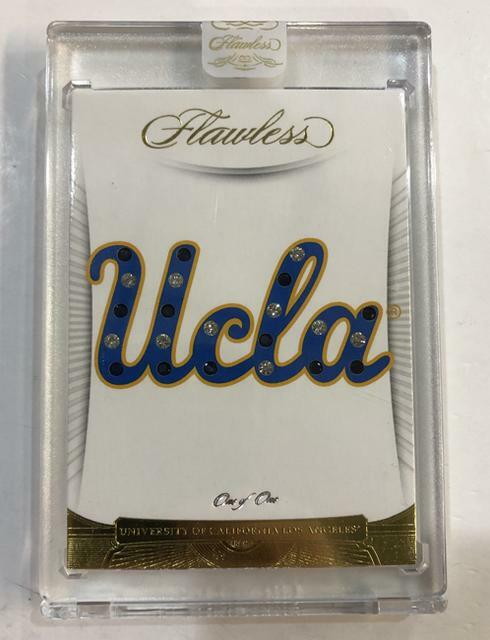 There’s also the diamond that comes with it. 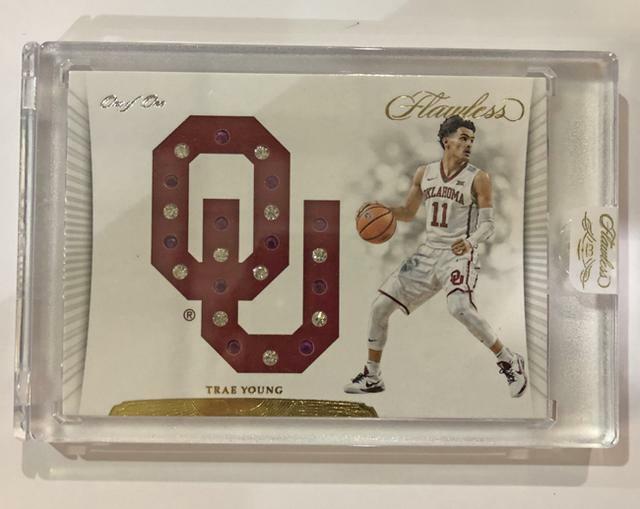 Ruby (/10), Sapphire (/8), Emerald (/5) and Oversized Diamond (1/1). 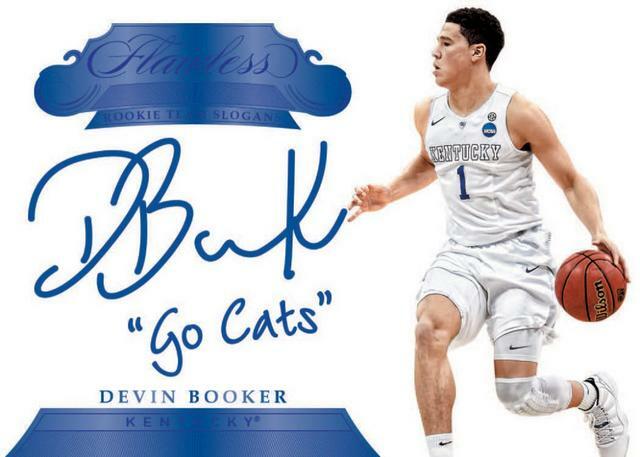 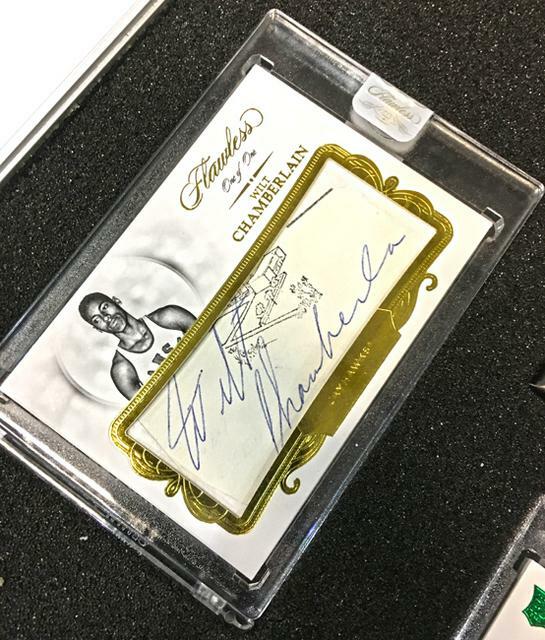 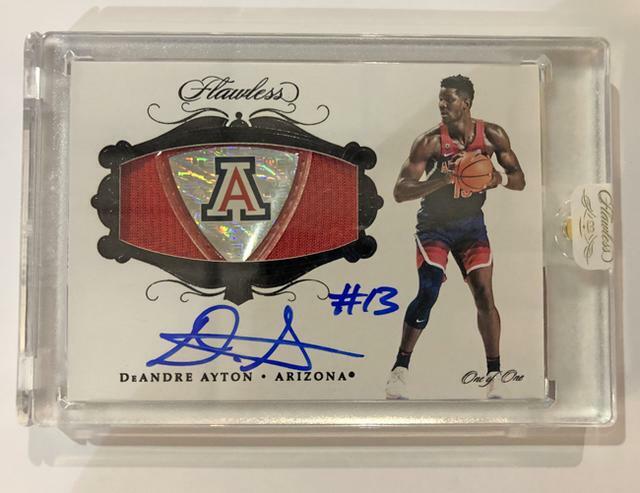 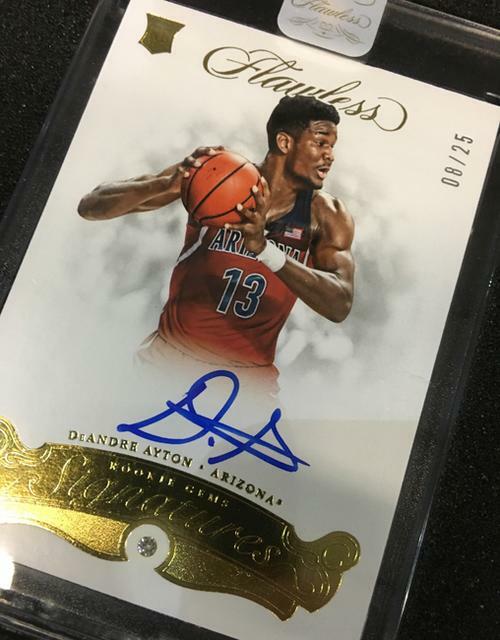 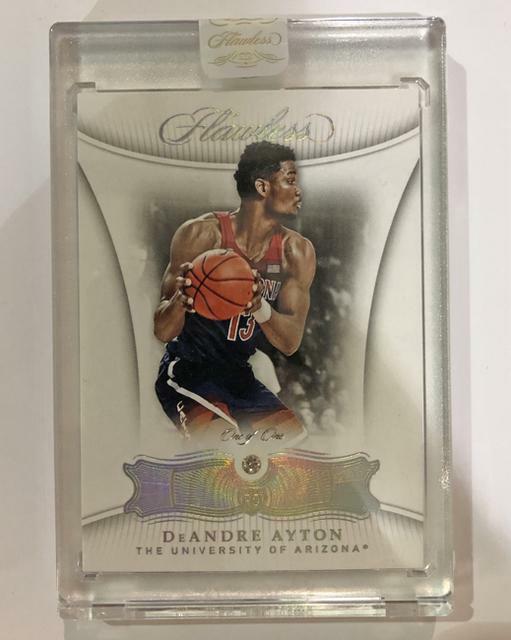 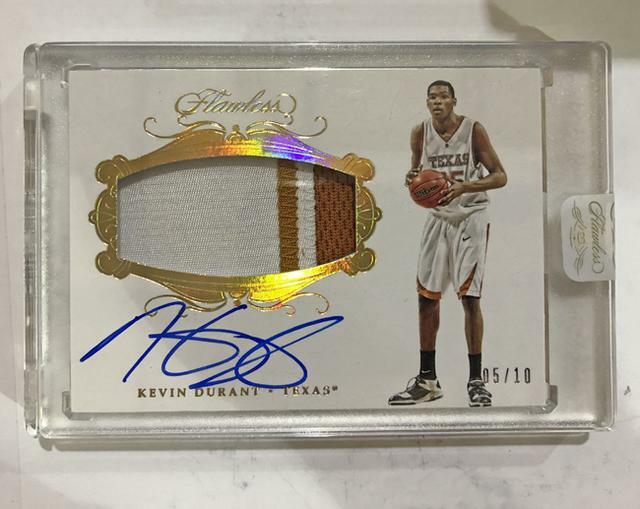 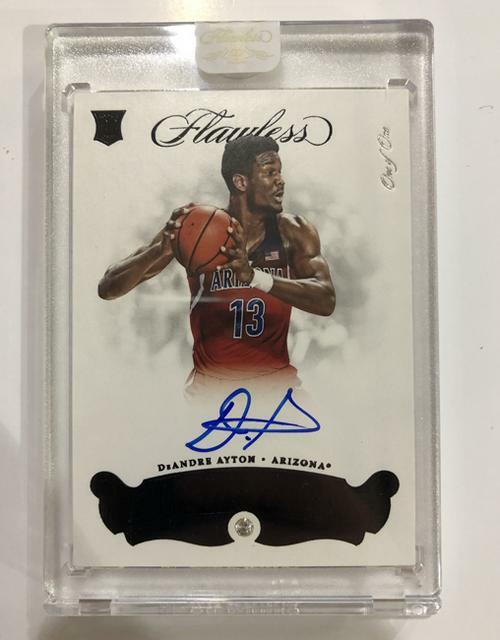 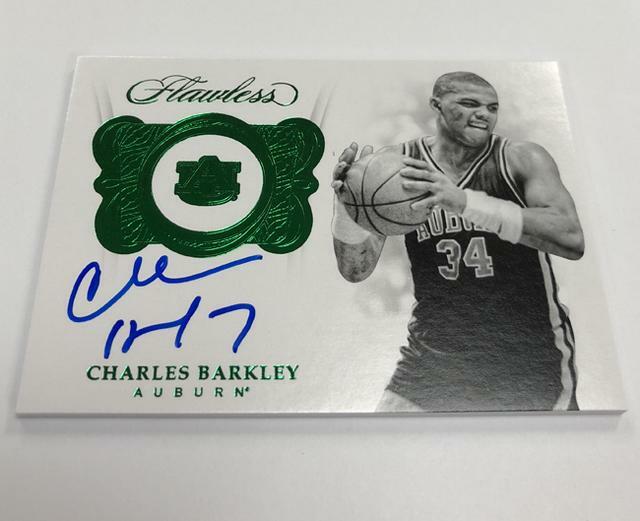 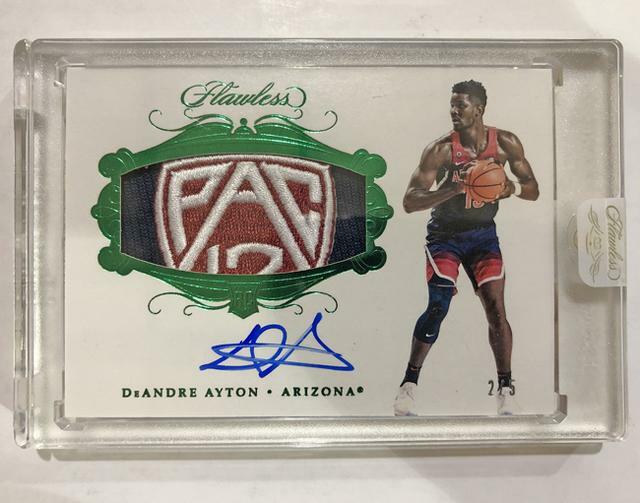 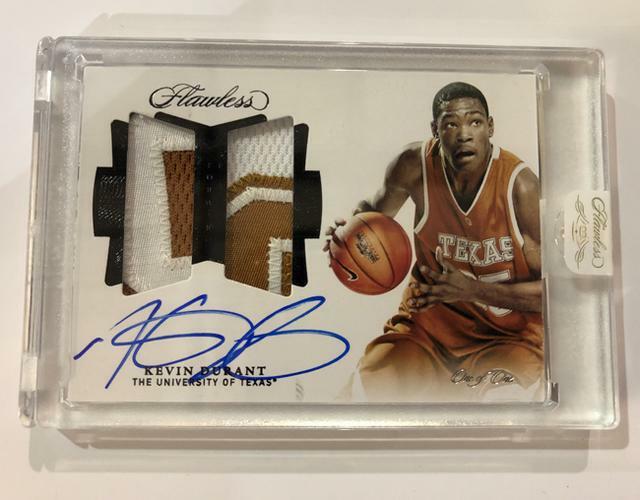 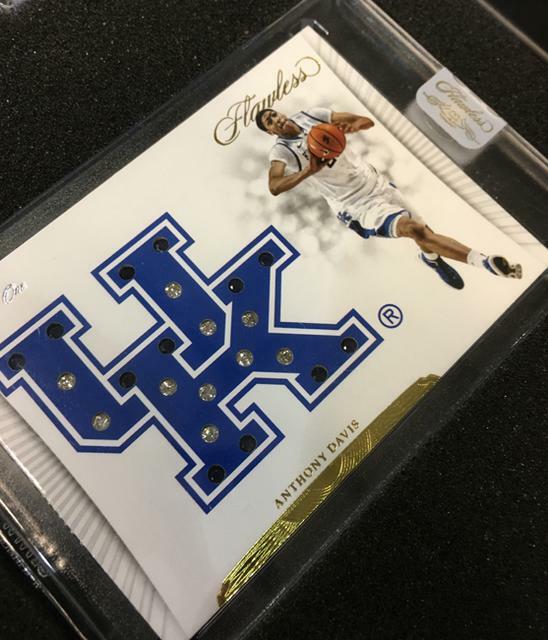 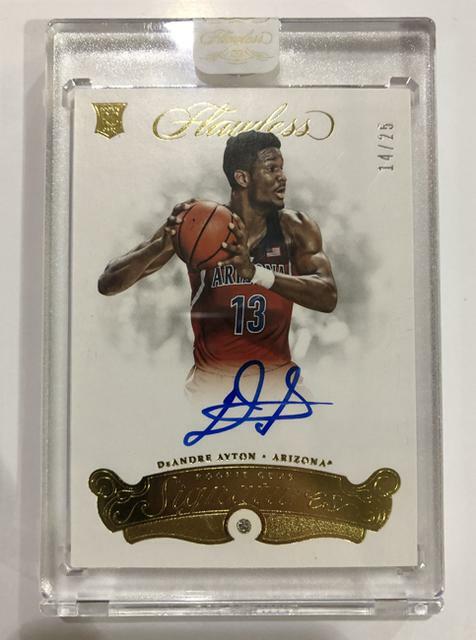 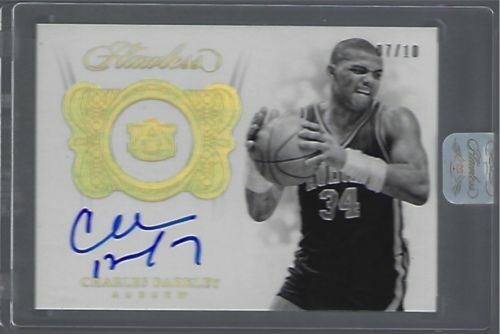 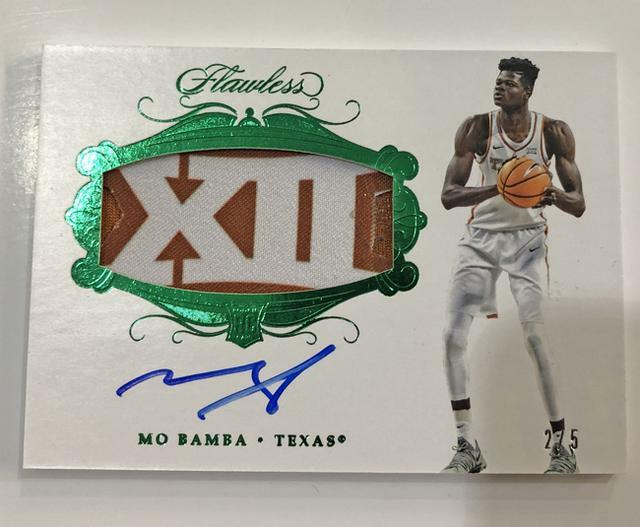 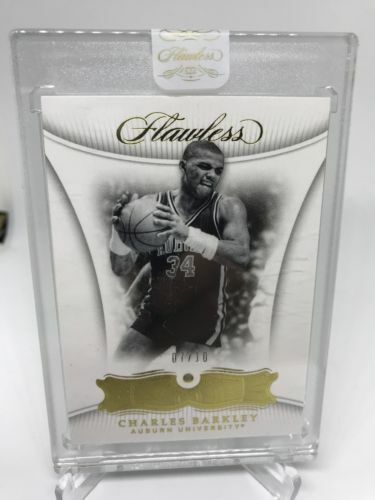 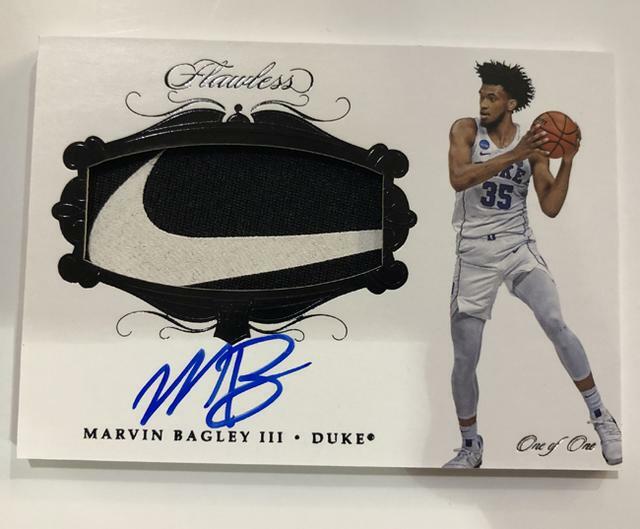 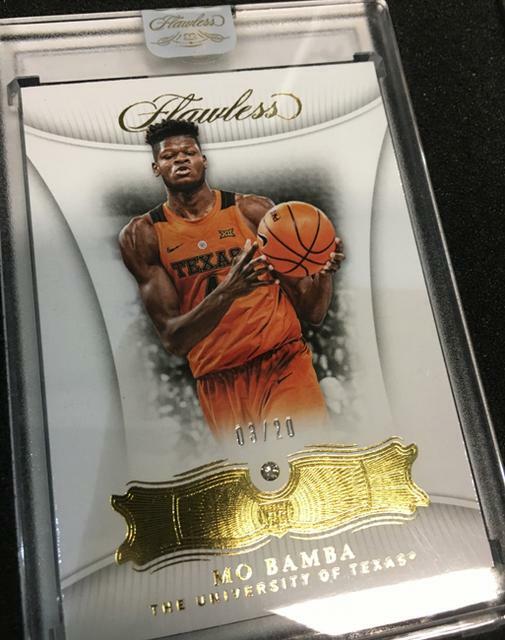 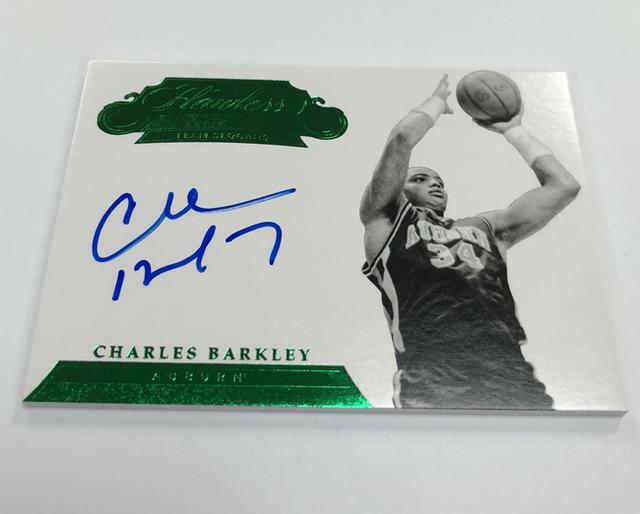 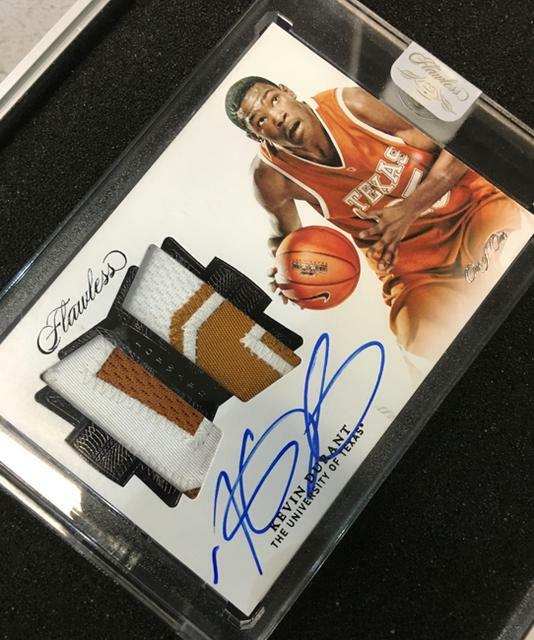 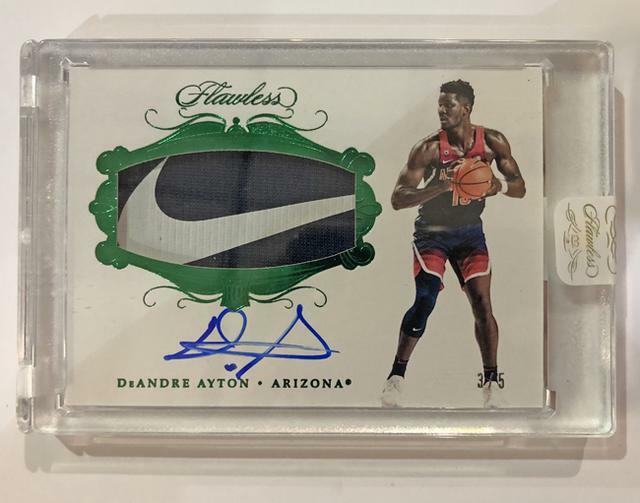 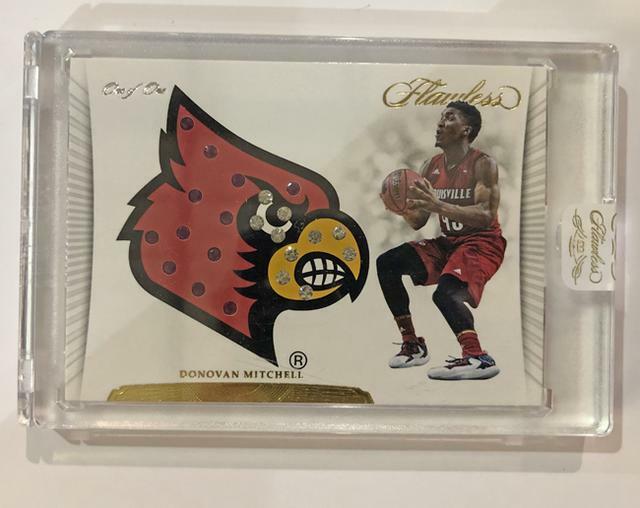 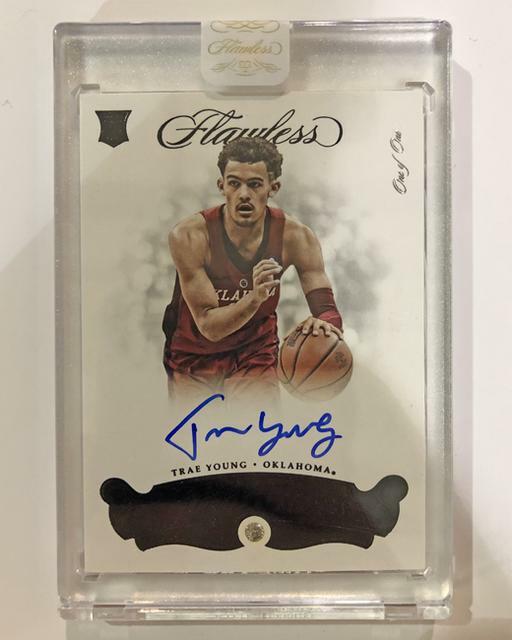 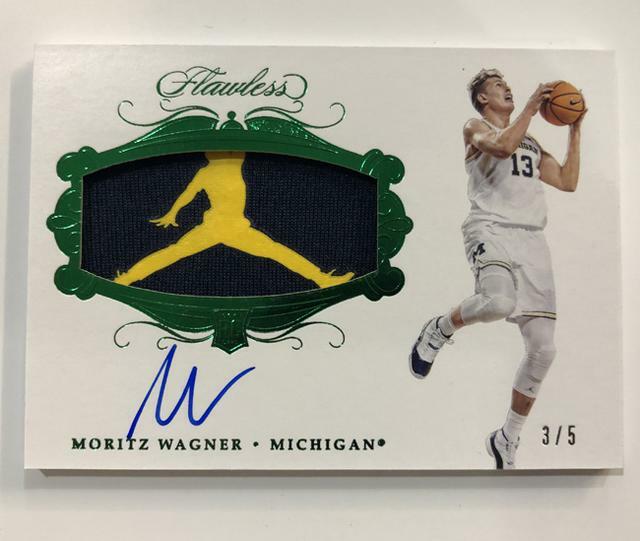 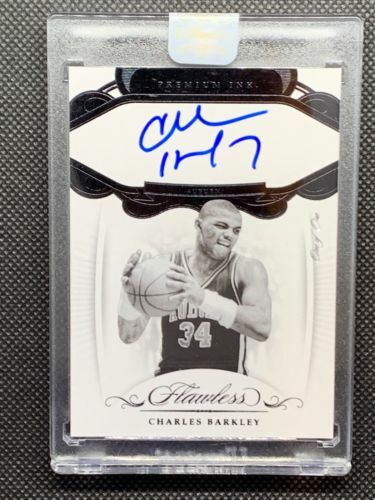 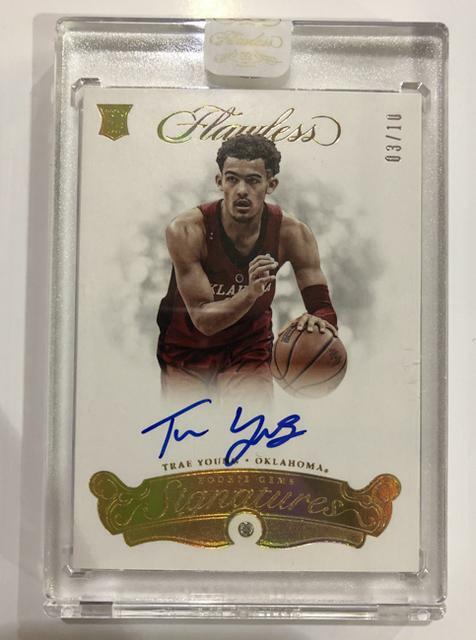 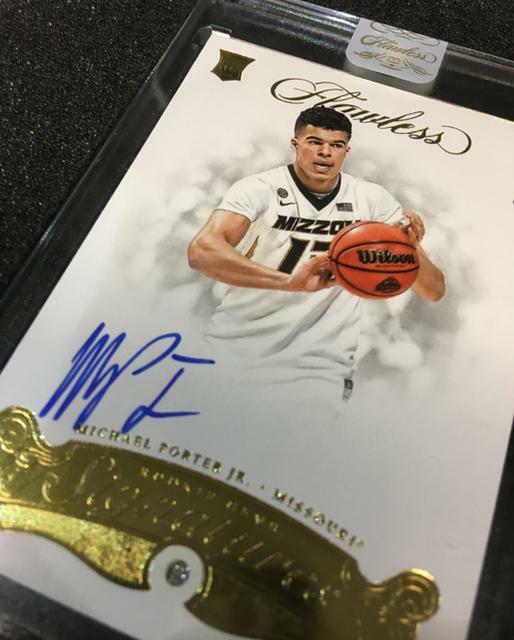 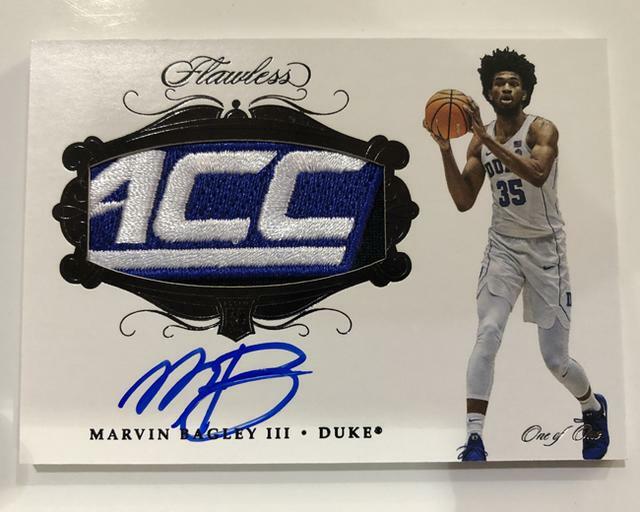 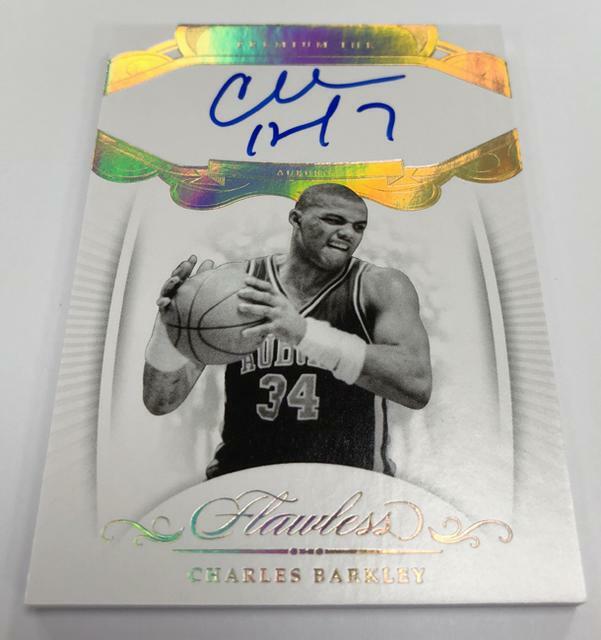 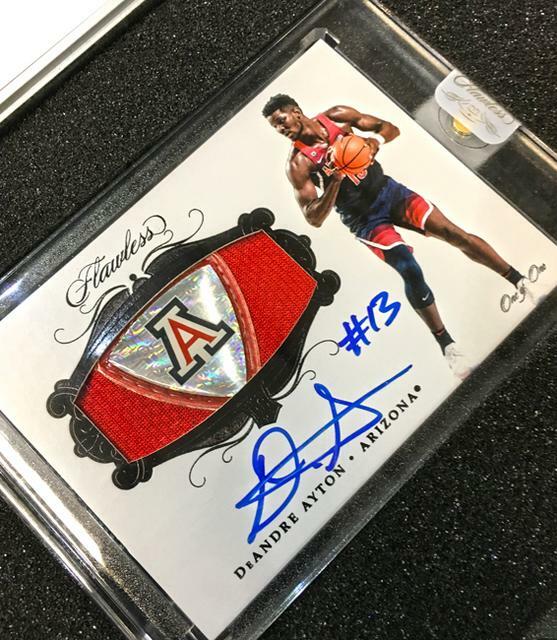 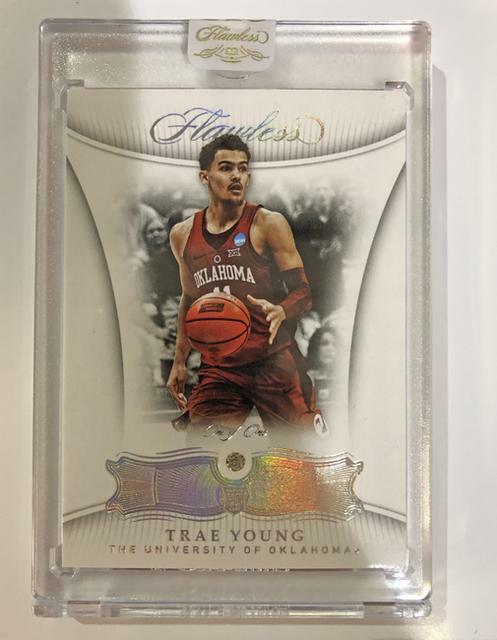 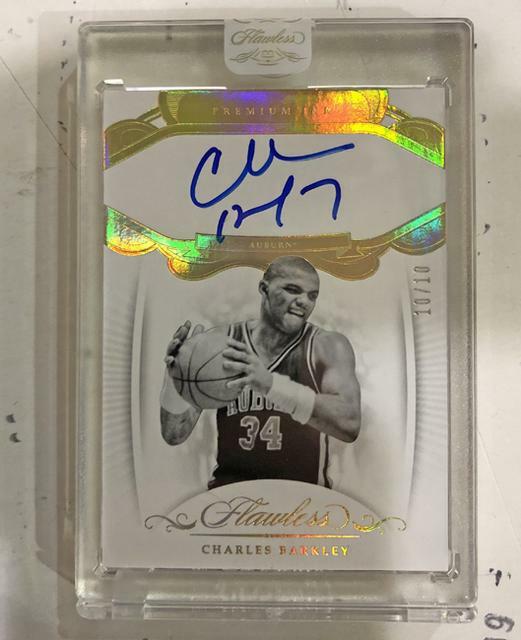 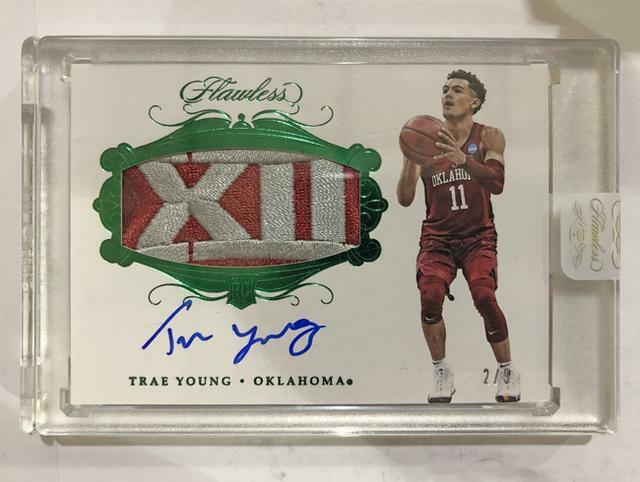 in 2018-19 Panini Flawless Collegiate are signed on-card. 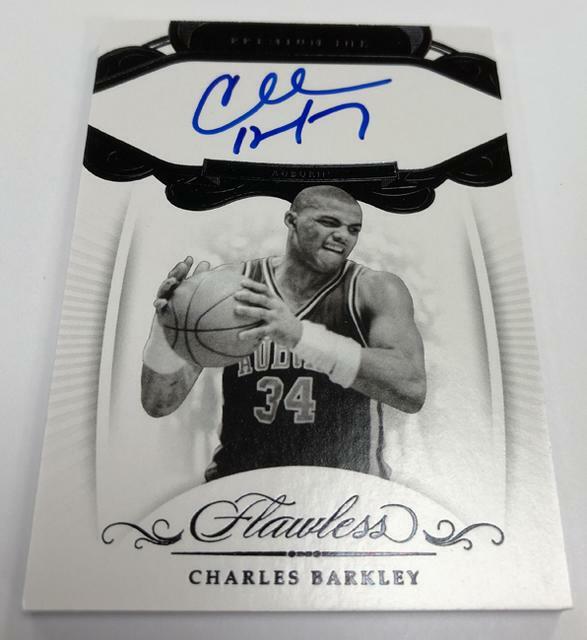 figures prominently on the checklist. 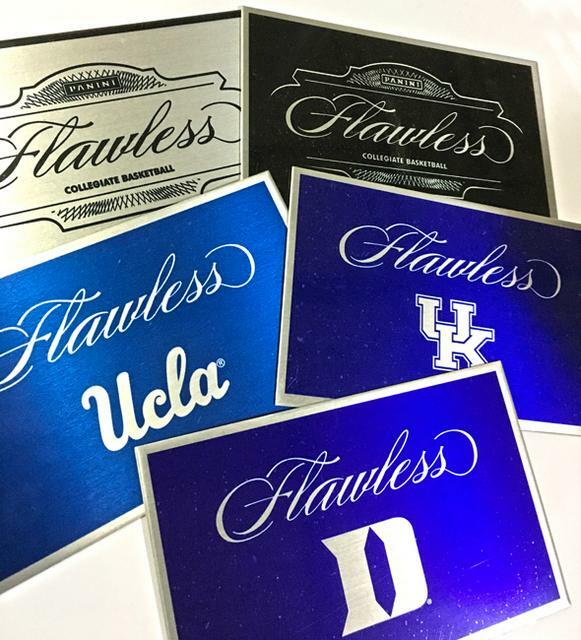 that are customary for Flawless. 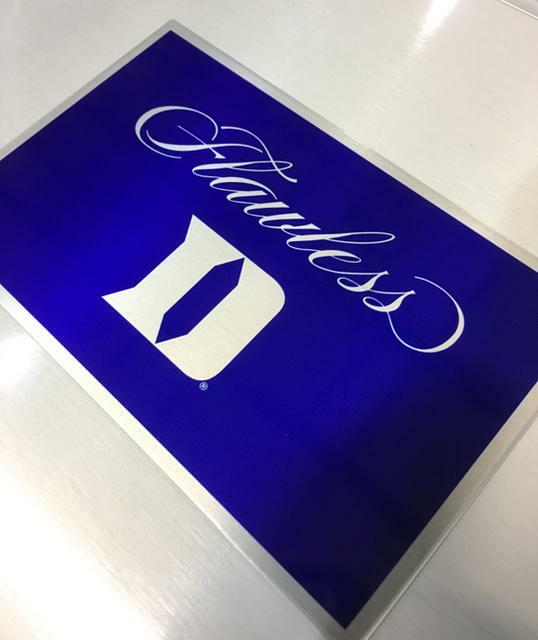 brand logos and the Final Four logo. 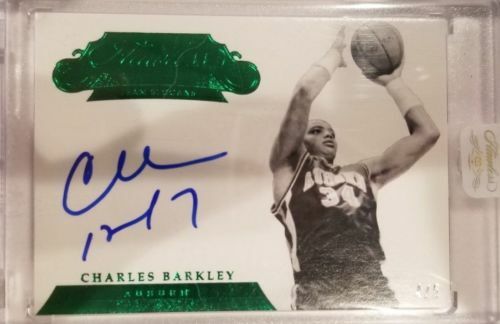 NBA veterans and retired players have similar Patch Autographs. 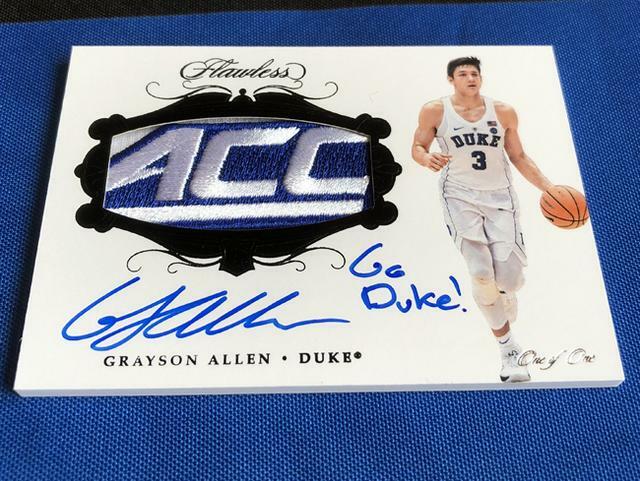 Team Slogan Signatures add an inscription to the mix. 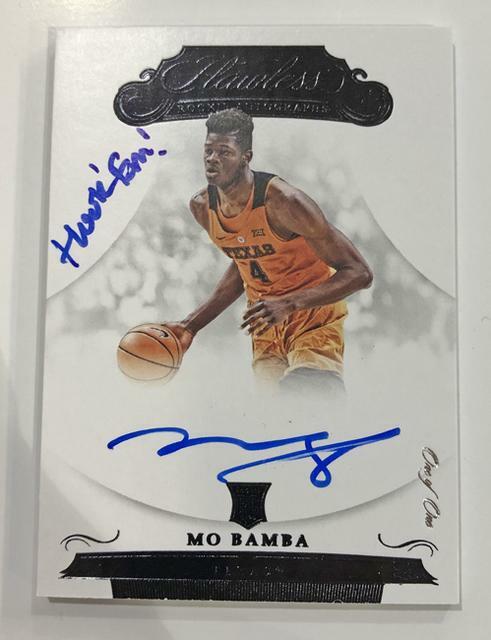 There is also Flawless Dual Autographs. 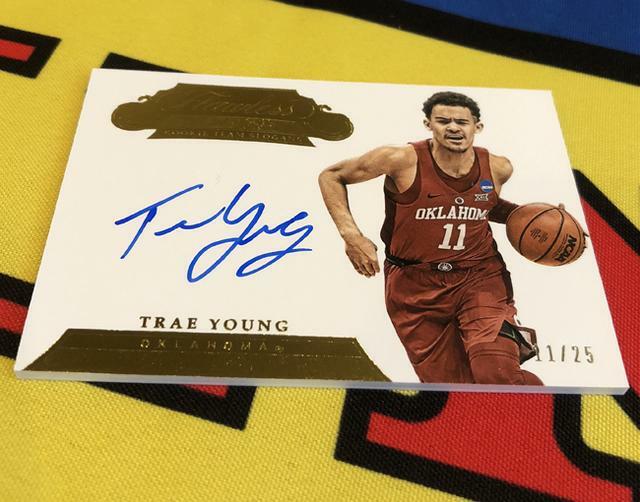 as the main base set, only with the addition of the autograph. 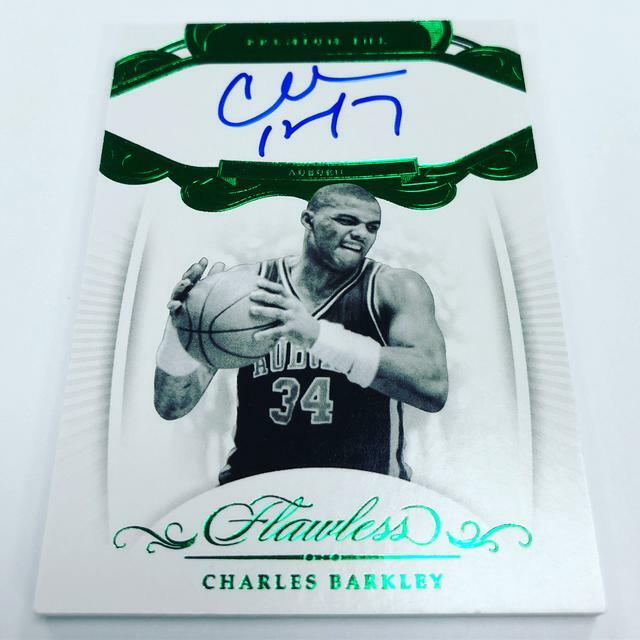 Emerald (/5) and Black (1/1), which has an oversized diamond. 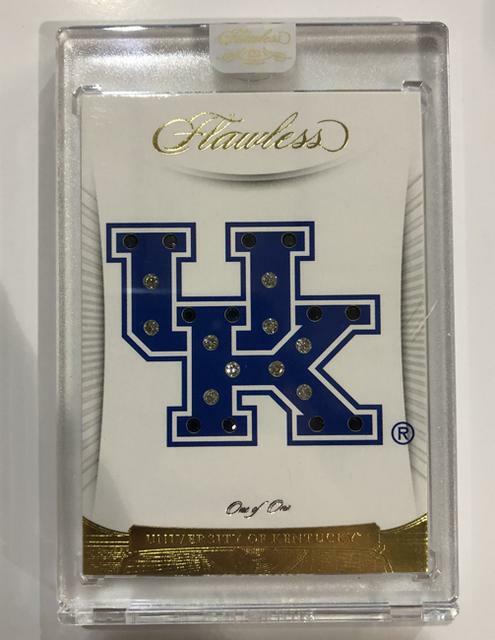 as well that do not have gems. 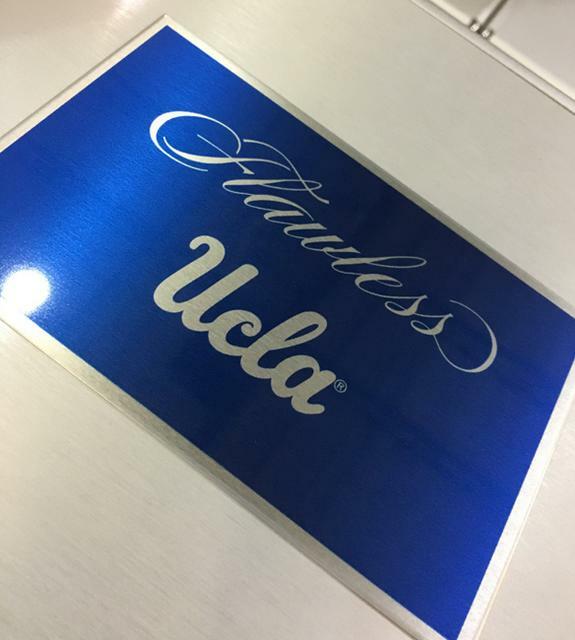 from some of the greatest players to ever play in the NCAA. 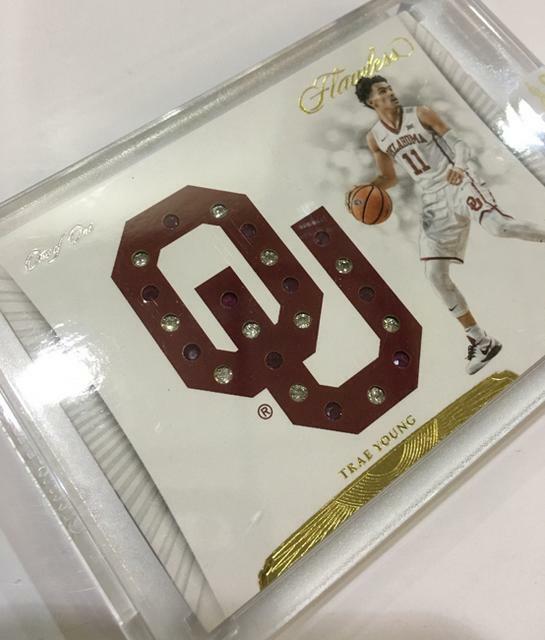 with gems selected to go with the school’s colors. 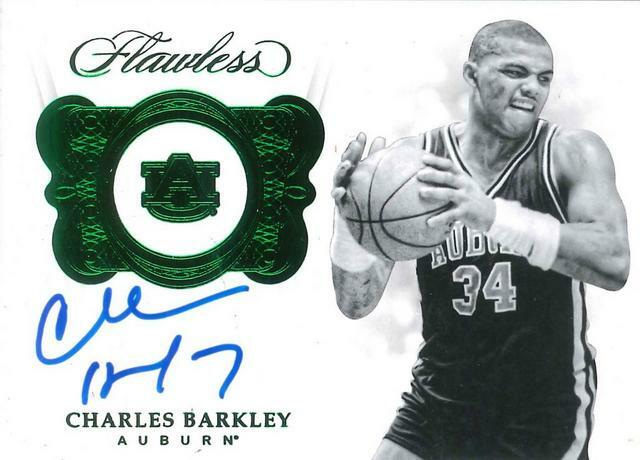 seasoned stars with more hard-signed content. 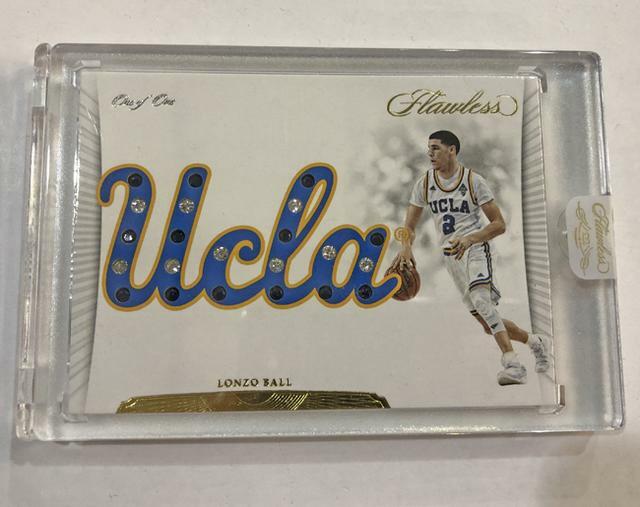 plus 2 Gemstone Cards in Every Box! 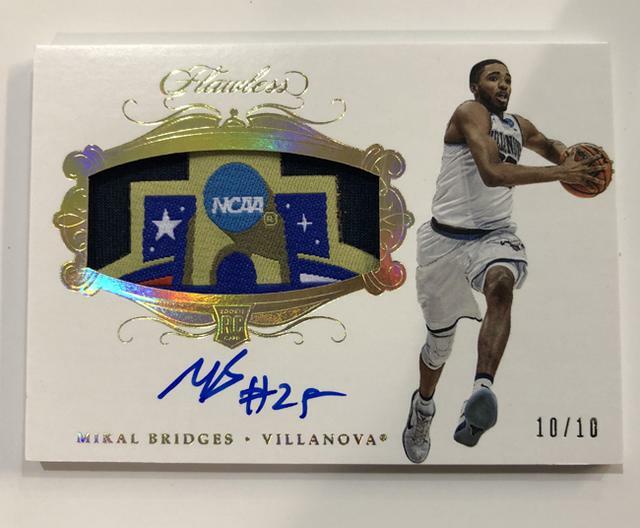 including Conference, Team & Brand Logos PLUS Final Four Patches! 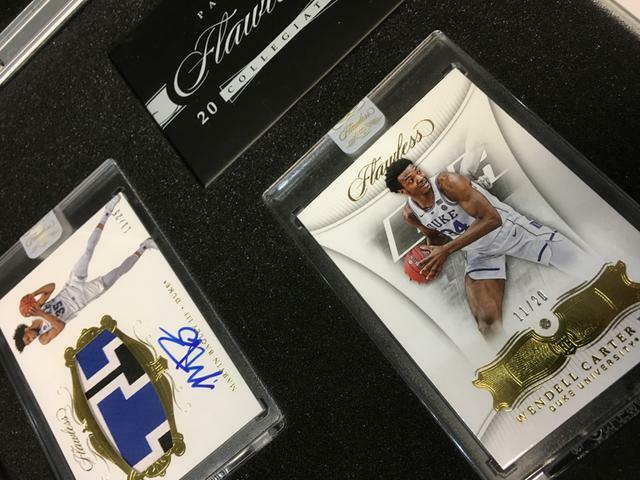 from teammates selected in this year’s draft! 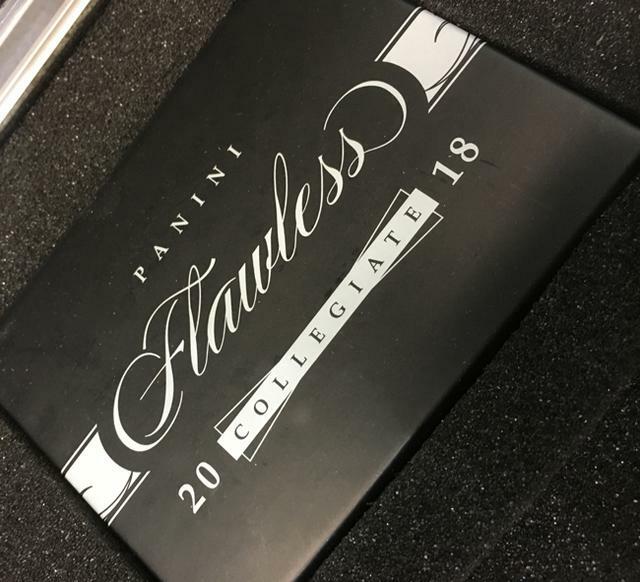 current & retired stars with premium swatches! 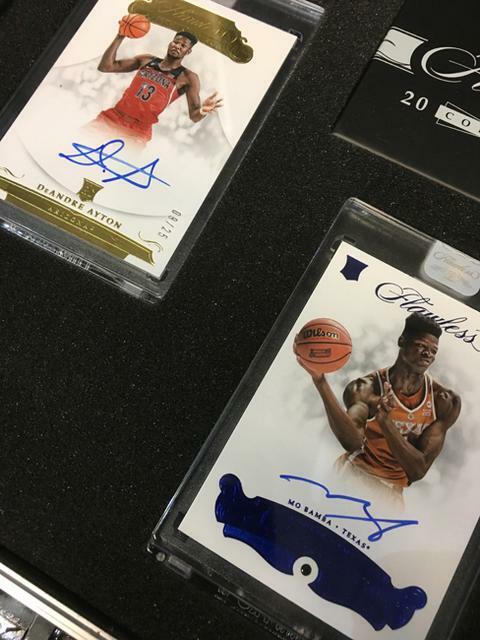 from the 2018 NBA Draft paired with precious gems! 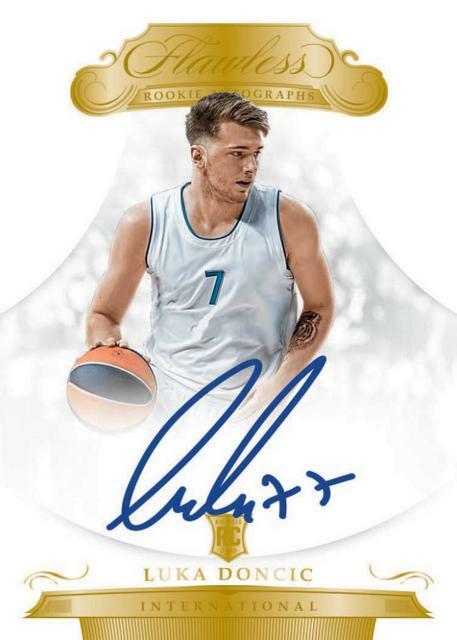 – Look for ON-CARD autographs paired with well-known team slogans! 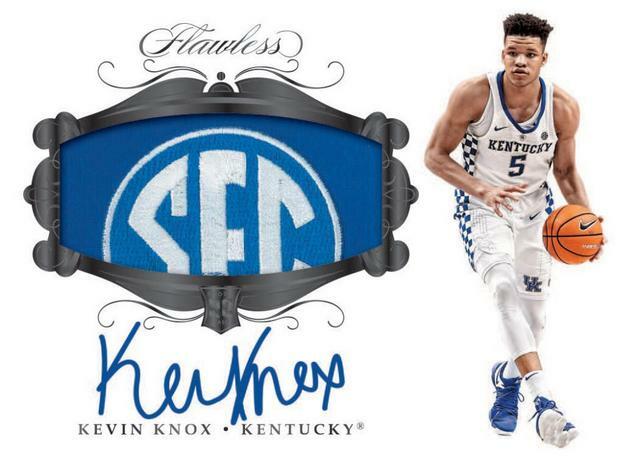 into the design and paired with iconic alumni! 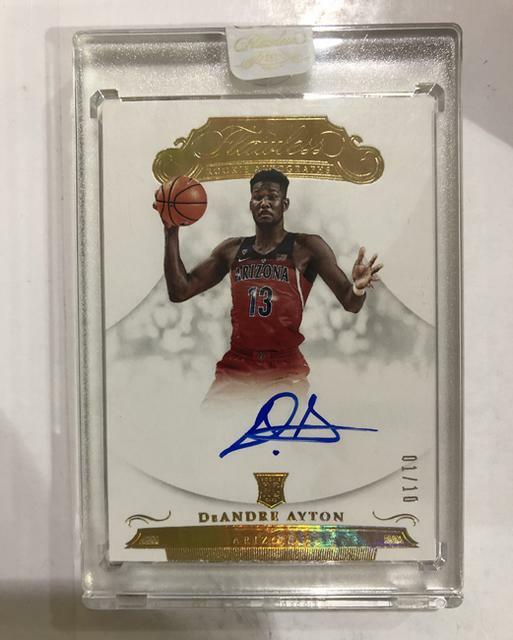 taken in the 2018 NBA Draft! 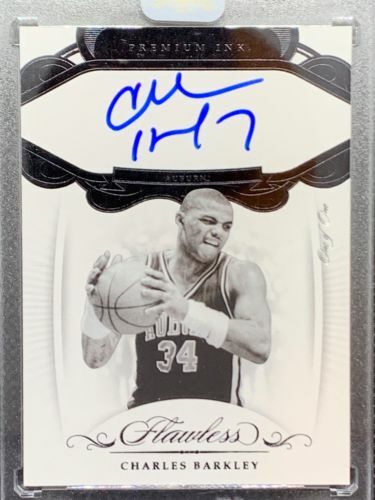 greatest players with ON-CARD autographs! 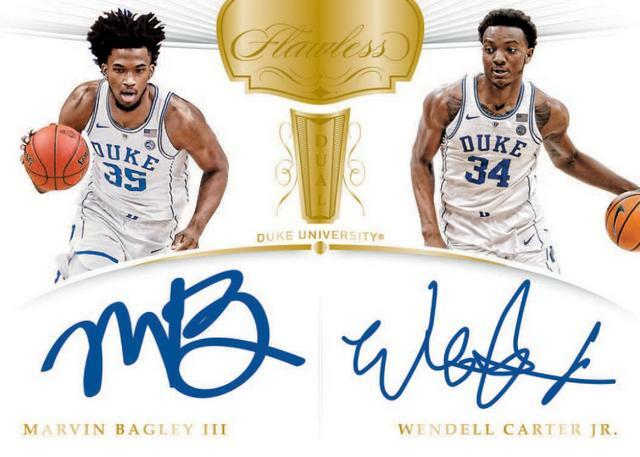 2018-19 Panini Flawless Collegiate BK Duals Autographs MARVIN BAGLEY III / WENDELL CARTER JR.
Dernière modification par Eyeshield21 le 13 mars 2019, 11:21, modifié 15 fois. 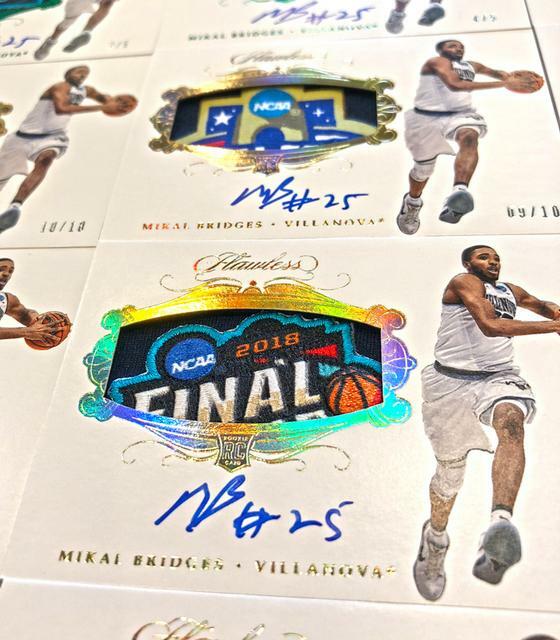 Final Four Logo patch variations in the RPA set. 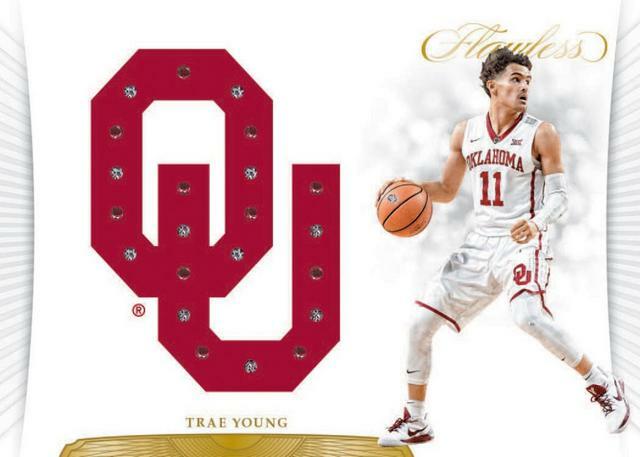 with color-coordinated gemstones paired with iconic alumni. 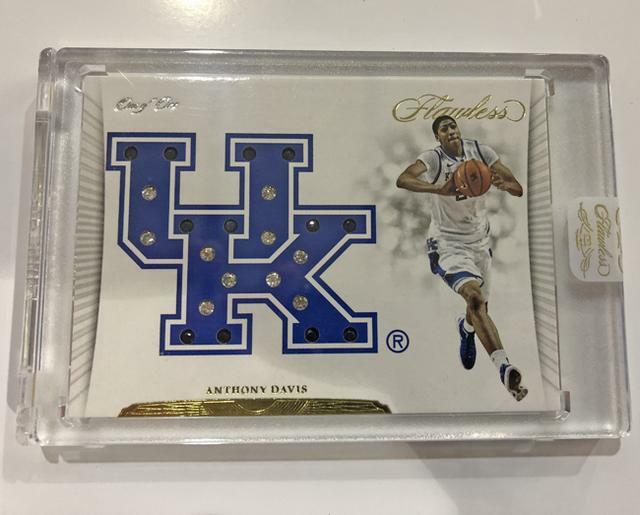 and Oversized Diamonds are numbered to only one. 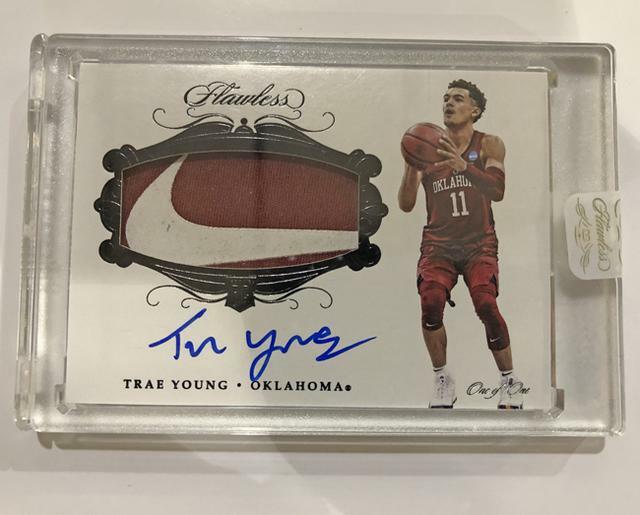 in the Team Slogan Signatures insert. pieces of material in the Patch Autographs chase. 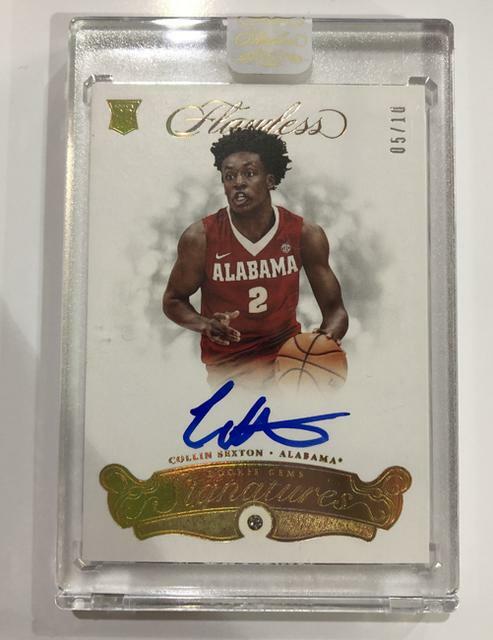 with rare precious gems in the Rookie Gem Signatures insert. 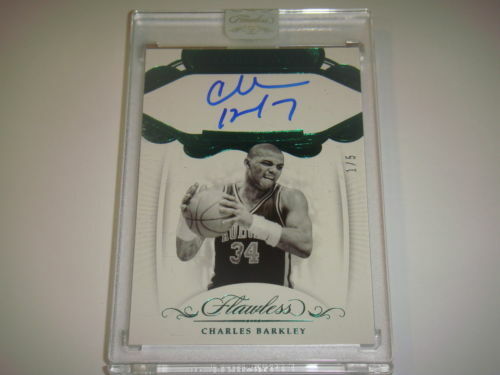 Emeralds are numbered to five and Black Oversized Diamonds are 1/1s. 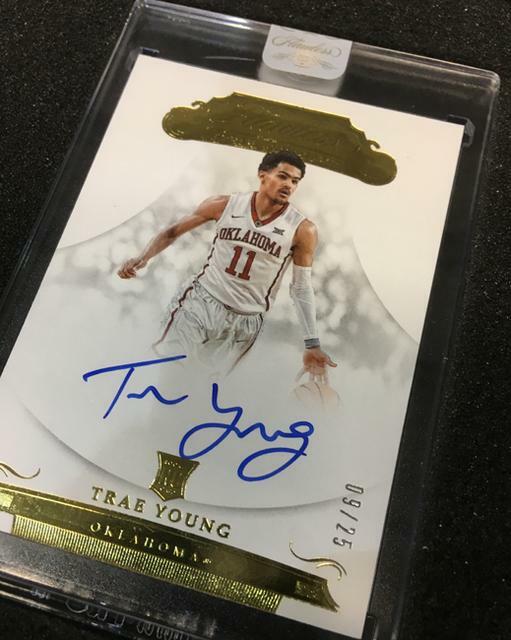 signed by top 2018 rookies during the recent 2018 NBA Rookie Photo Shoot. 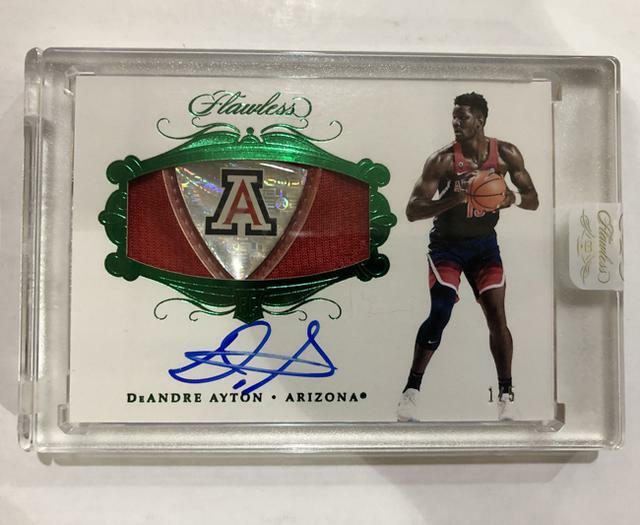 Dernière modification par Eyeshield21 le 16 nov. 2018, 12:00, modifié 1 fois. 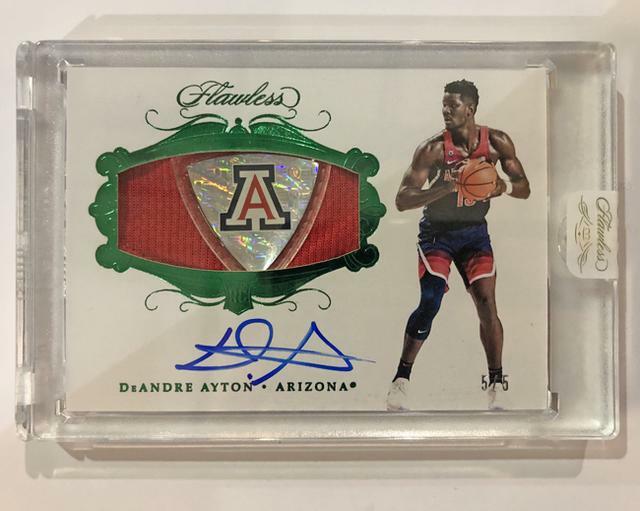 Dernière modification par Eyeshield21 le 10 avr. 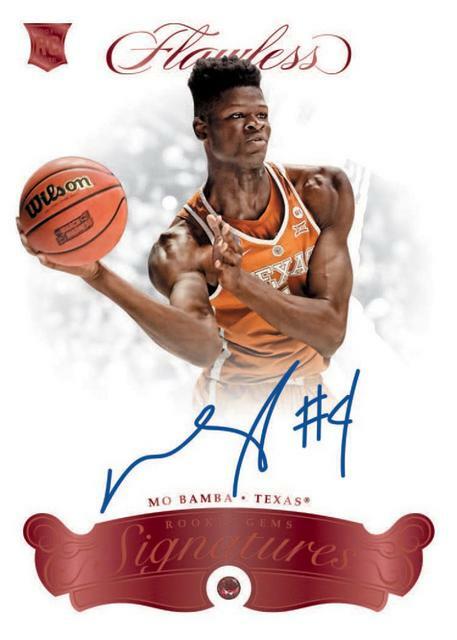 2019, 11:44, modifié 15 fois. 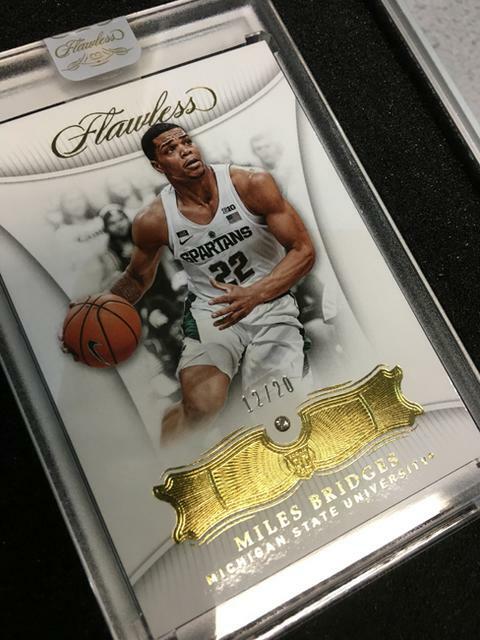 taking high-end college trading cards to a completely new level. 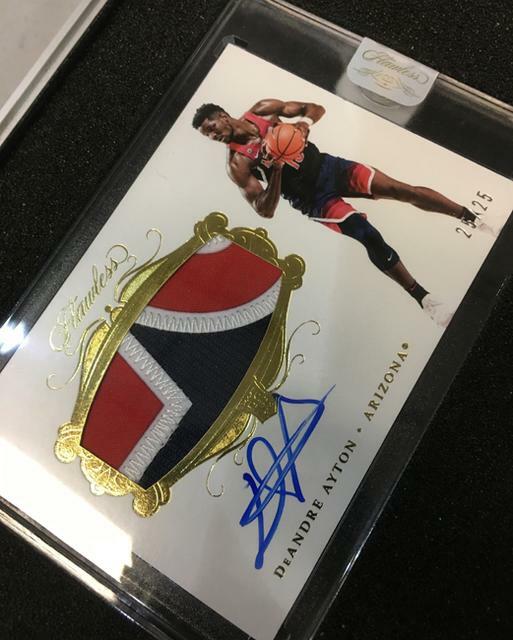 array of autograph, patch and memorabilia content. 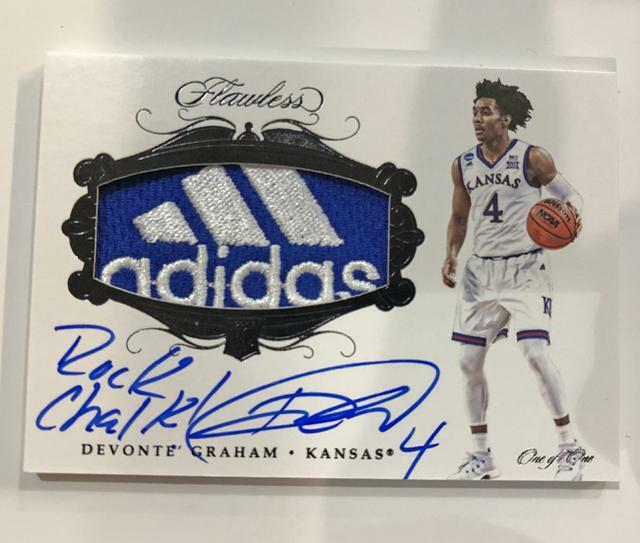 in the Rookie Patch Autographs chase. 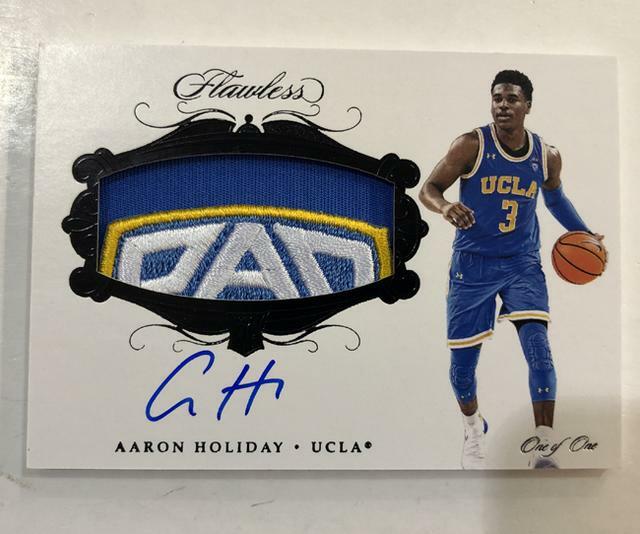 Brand Logo and Final Four Logo patch variations in the RPA set. 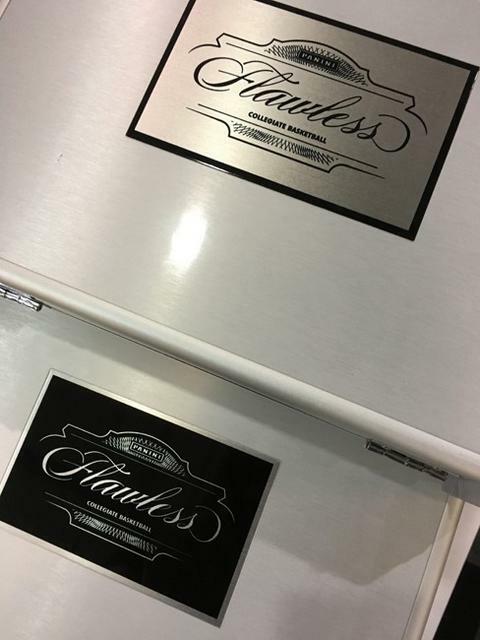 also includes rare “Black-Plate” briefcases that deliver an extra hit. 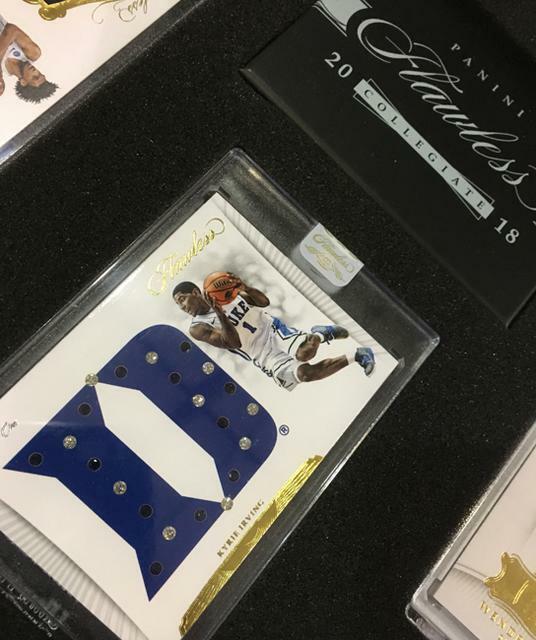 to snap some pics during the process. 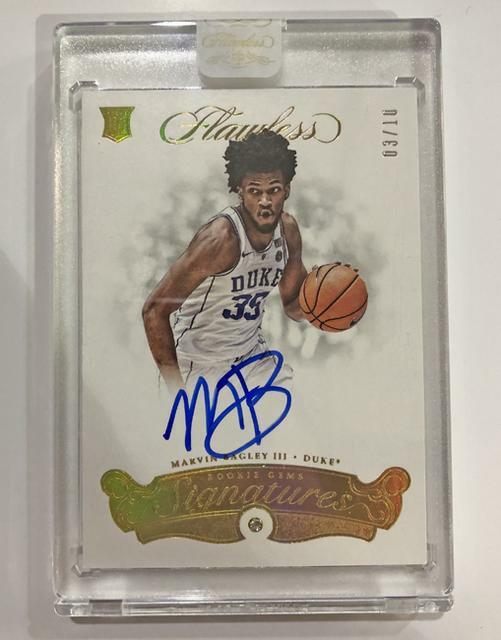 Those must-see images are below. 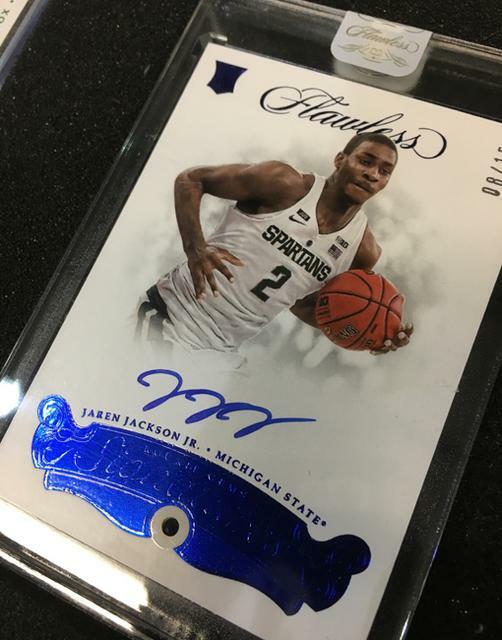 2018-19 Panini Flawless Collegiate Diamond #11/20 WENDEL CARTER Jr.
2018-19 Panini Flawless Collegiate Diamond JAREN JACKSON Jr.
2018-19 Panini Flawless Collegiate Rookie Autographs #08/15 JAREN JACKSON Jr.
2018-19 Panini Flawless Collegiate Rookie Patchs Autographs Platinum #1/1 WENDELL CARTER Jr.
2018-19 Panini Flawless Collegiate Rookie Patchs Autographs #2/5 WENDELL CARTER Jr.
Dernière modification par Eyeshield21 le 13 mars 2019, 11:22, modifié 12 fois. 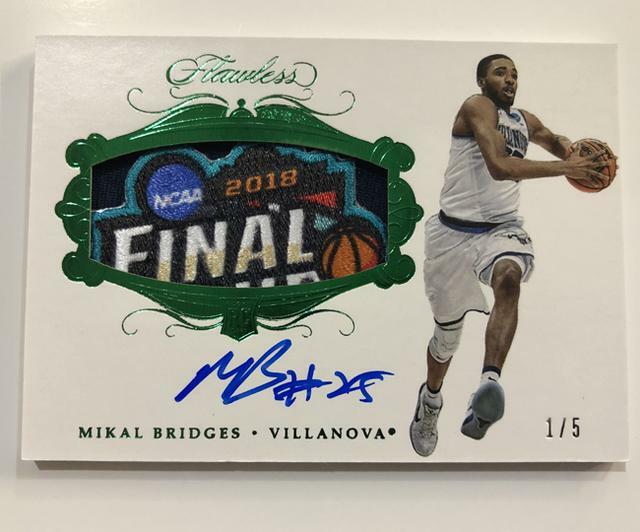 Les patches du final four sont magnifiques mais l'attrait pour une collection univ' en sera-t-il accru? 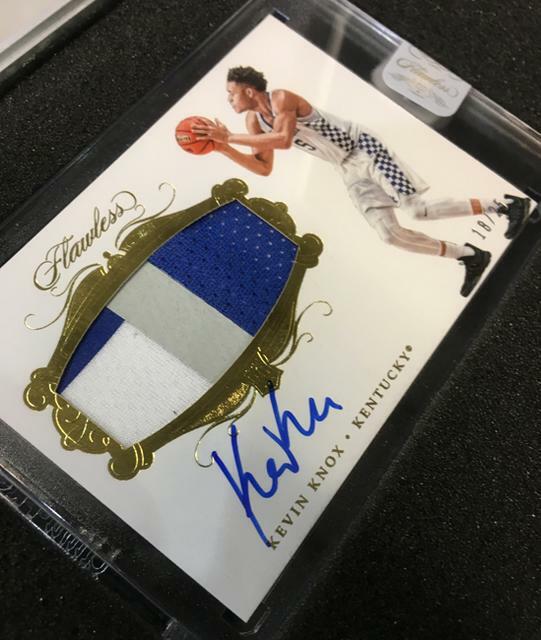 Dernière modification par Eyeshield21 le 16 nov. 2018, 12:01, modifié 1 fois. 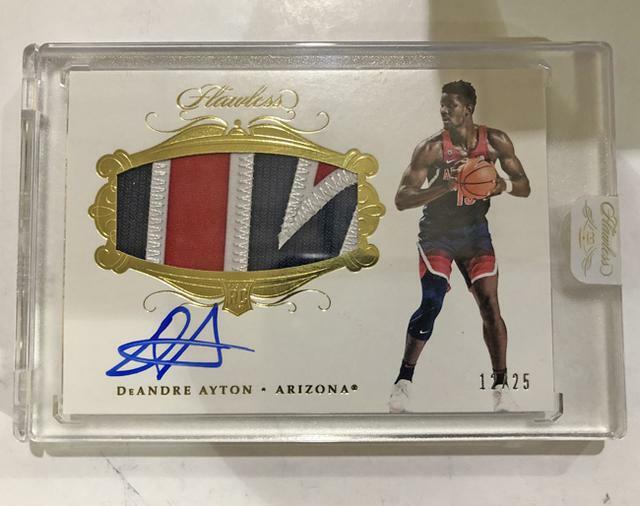 Dernière modification par Eyeshield21 le 22 déc. 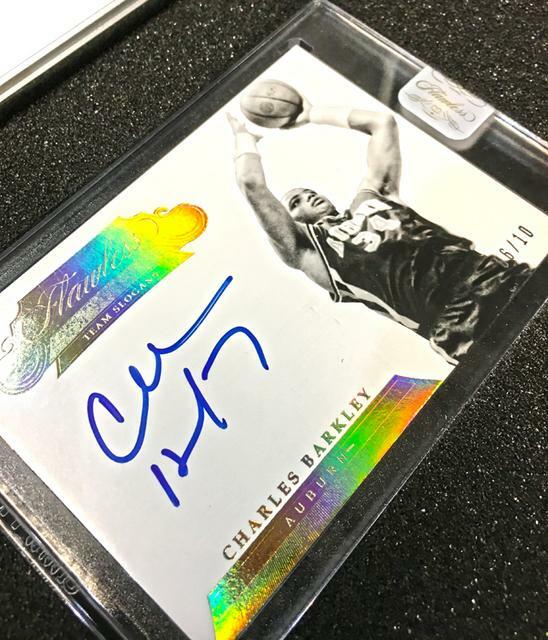 2018, 11:54, modifié 2 fois.